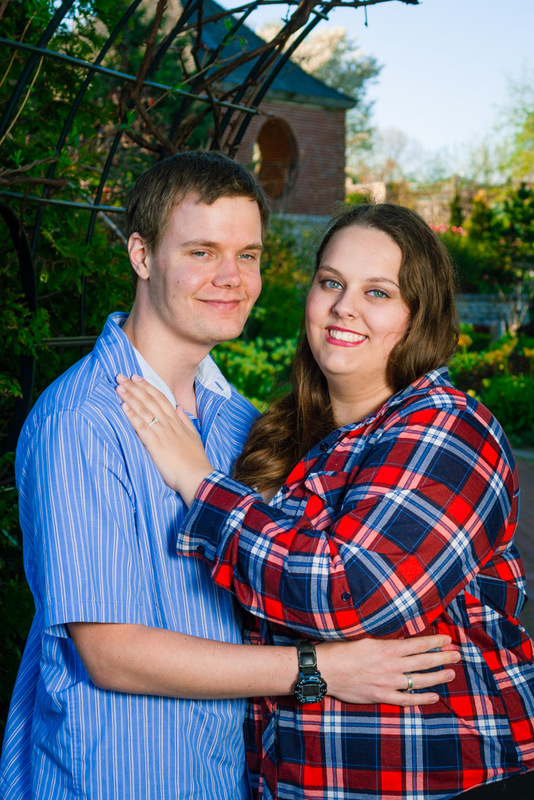 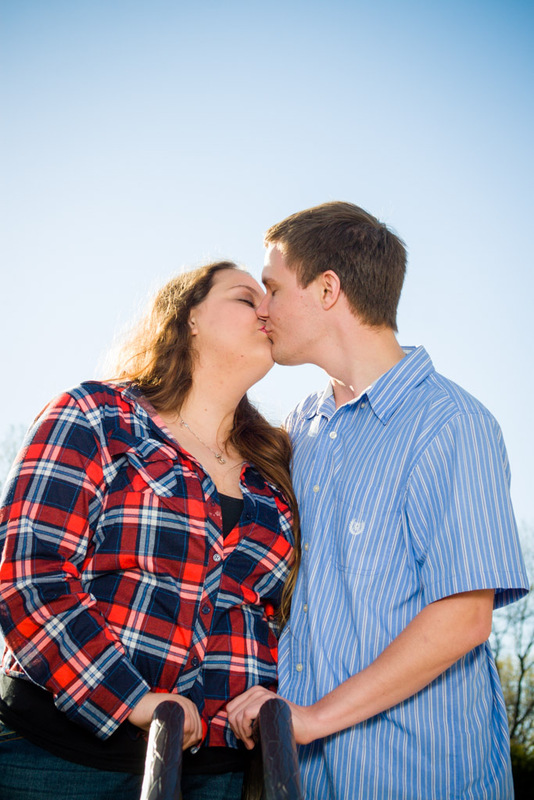 Hannah and Luke have been madly in love for over 2 1/2 years. Their sisters have been best friends since high school, and they reconnected when Hannah moved to Milwaukee. 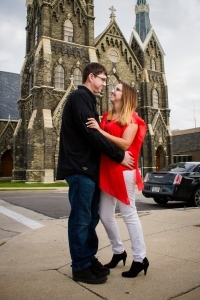 I love their proposal story! At Thanksgiving Luke asked Hannah’s Dad for her hand in marriage. They got in the car to go to his family Thanksgiving. 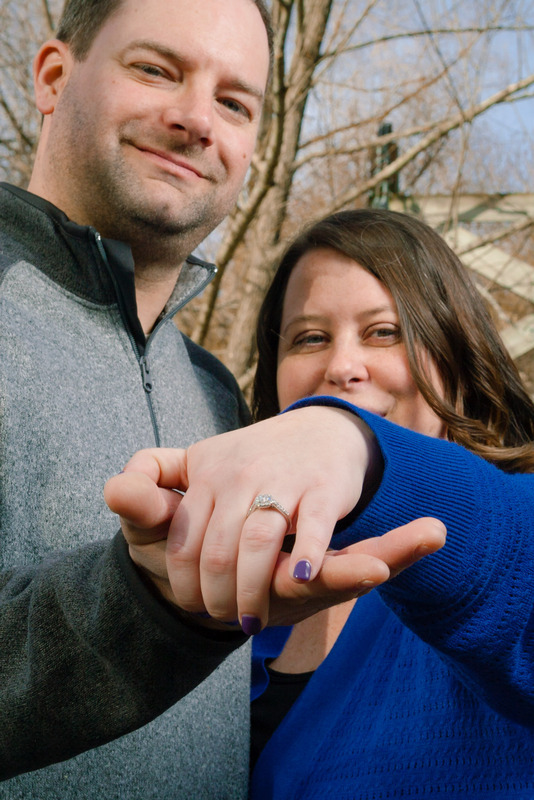 45 seconds after leaving the driveway he was running through all the ideas of how he could propose and got so excited that he blurted it out. 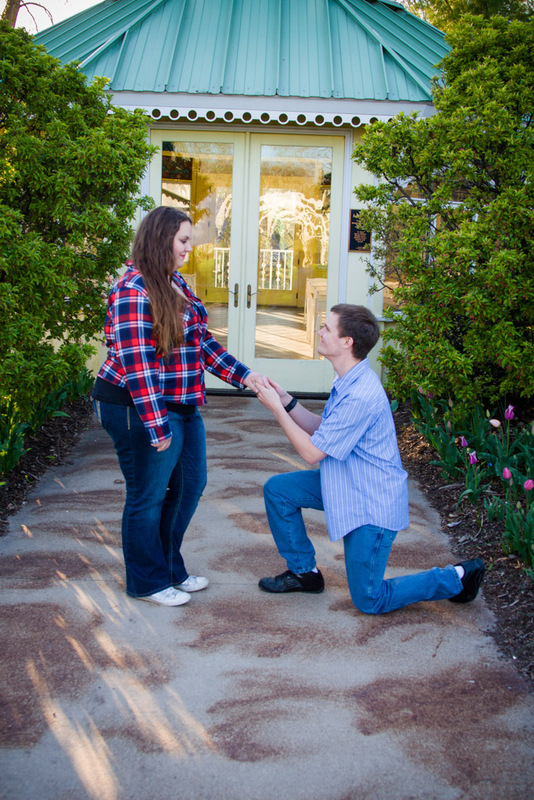 She asked if this was for real, he said yes so she said yes. No ring, nothing fancy. 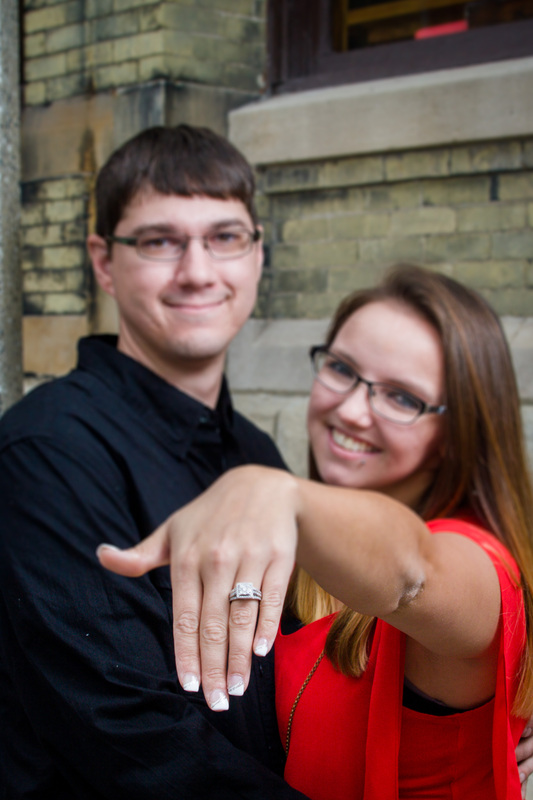 Just a guy who got too excited and couldn’t wait! 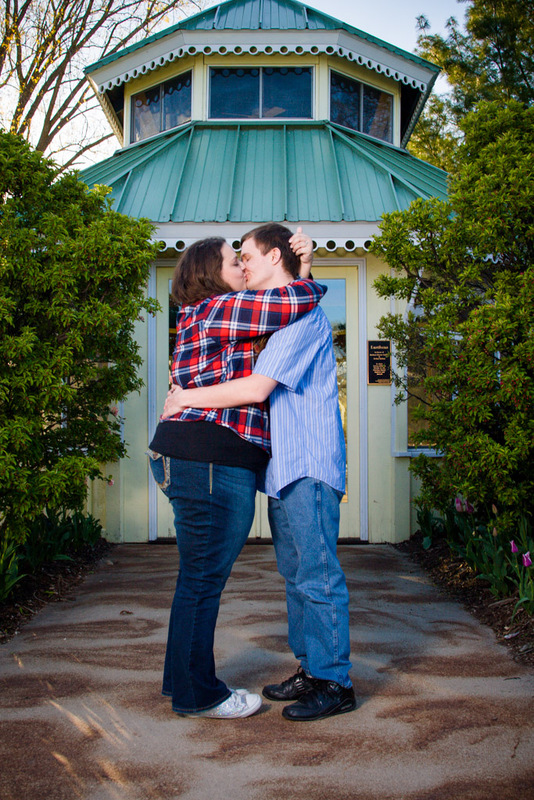 Their favorite ice cream is pistachio! 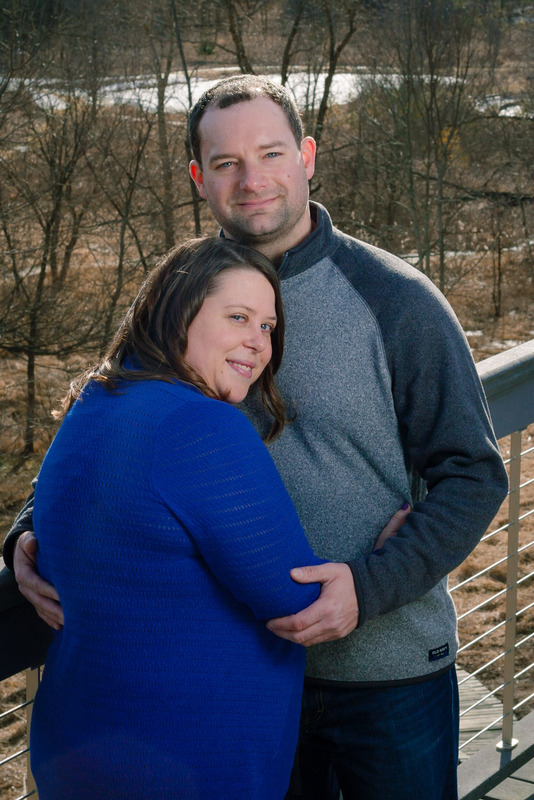 And for their coffee, just a little cream. 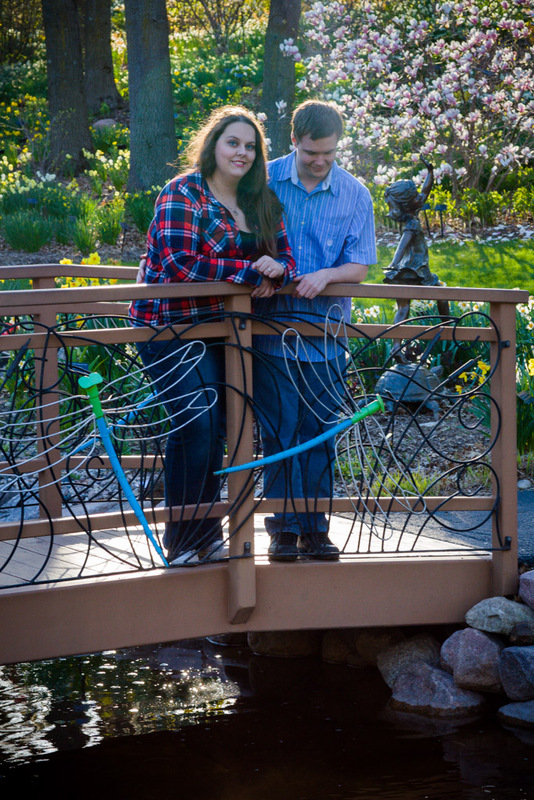 Nothing too fancy unless they have the Girl Scout Samoa flavor at Meijer! 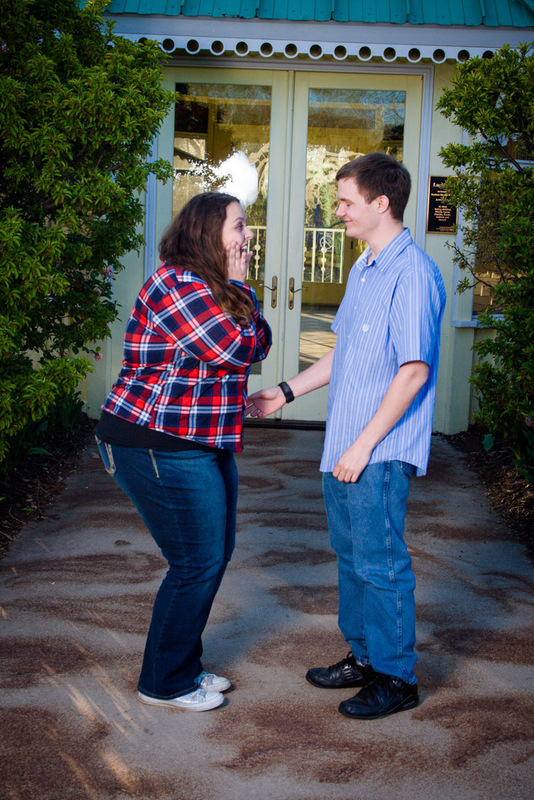 Their favorite date night include: Cooking dinner together, and playing video games afterwards. 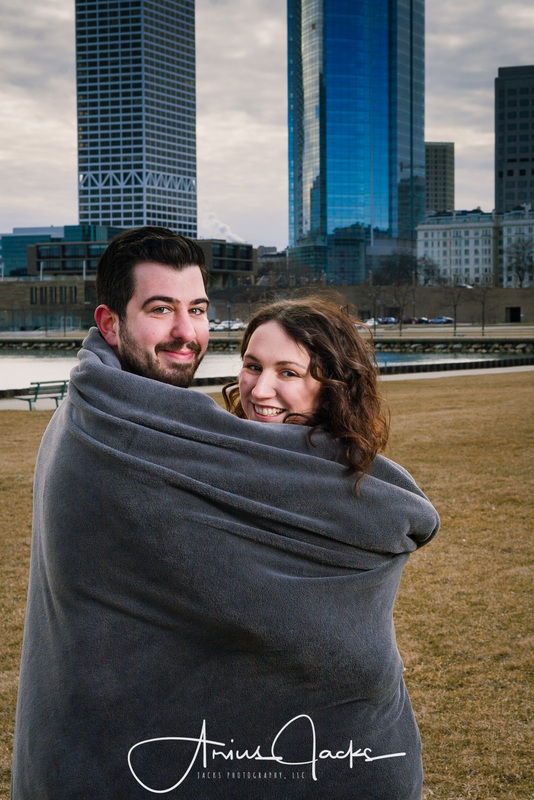 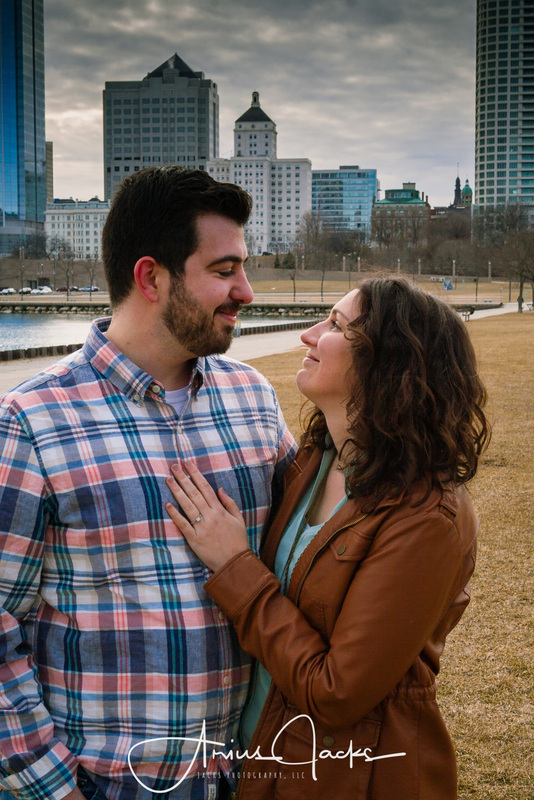 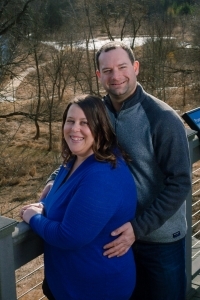 For their engagement portraits they chose to go to Veterans park with the Milwaukee skyline in the background. And also one that showed their love of video games. 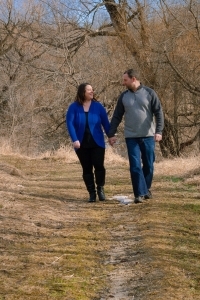 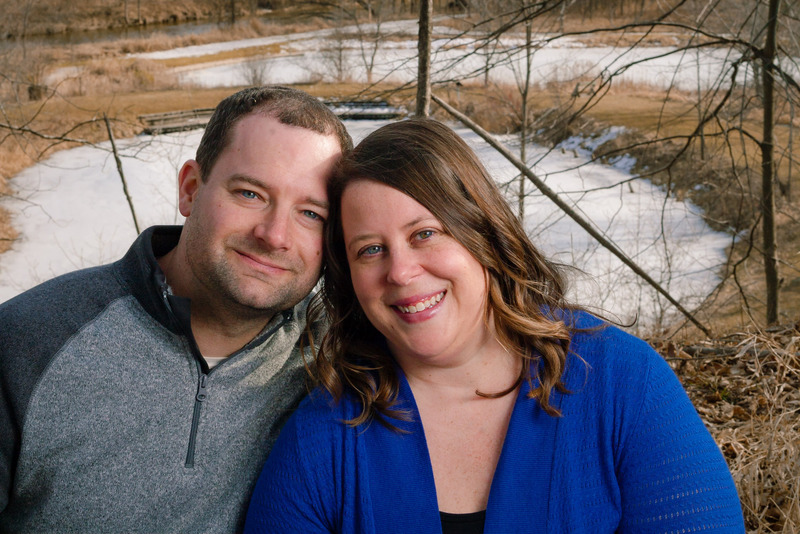 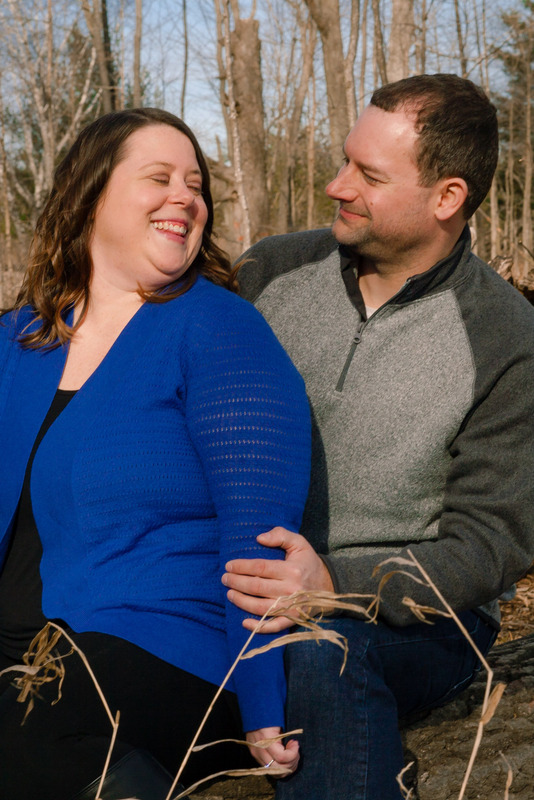 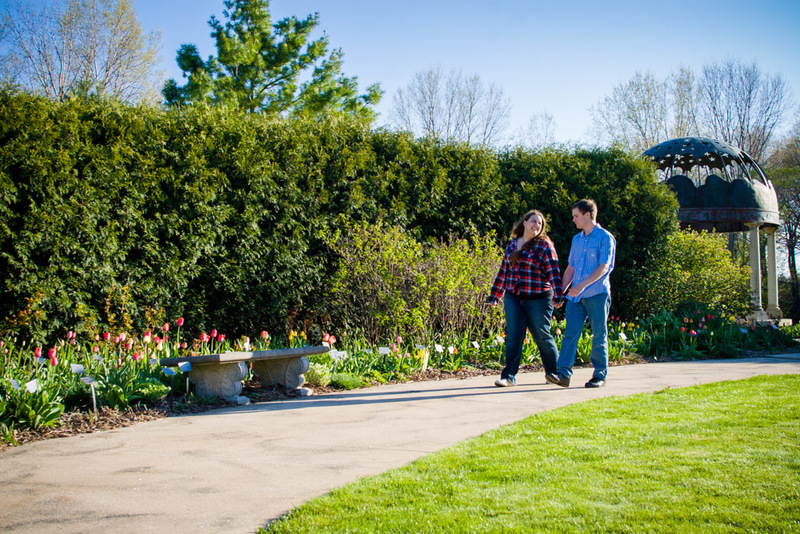 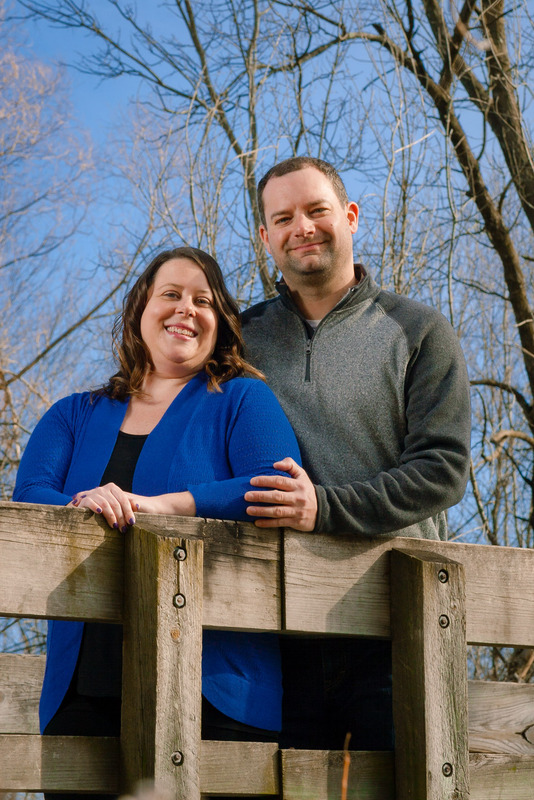 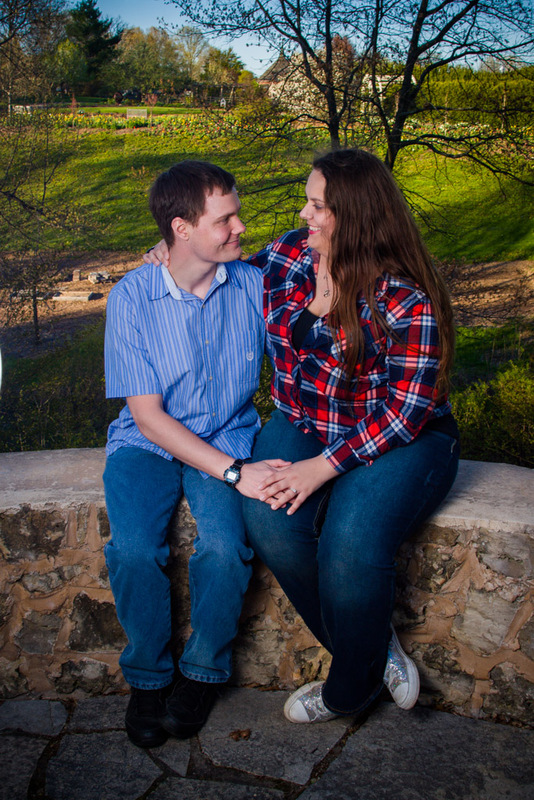 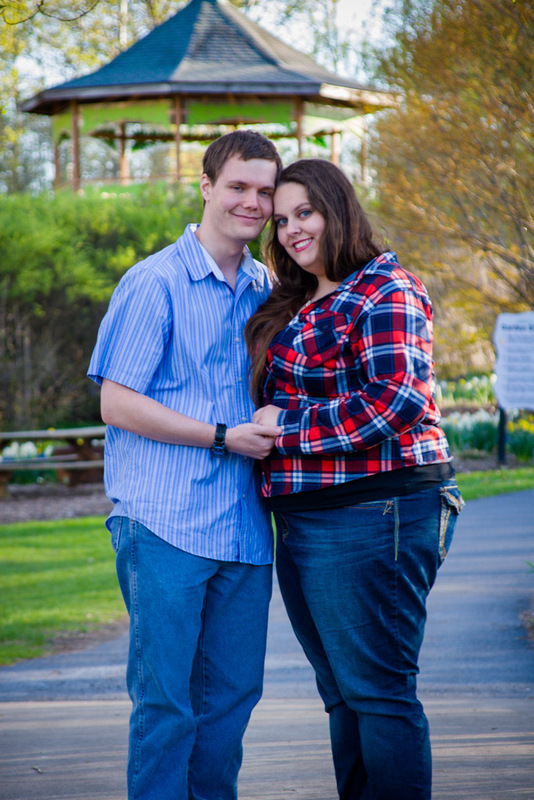 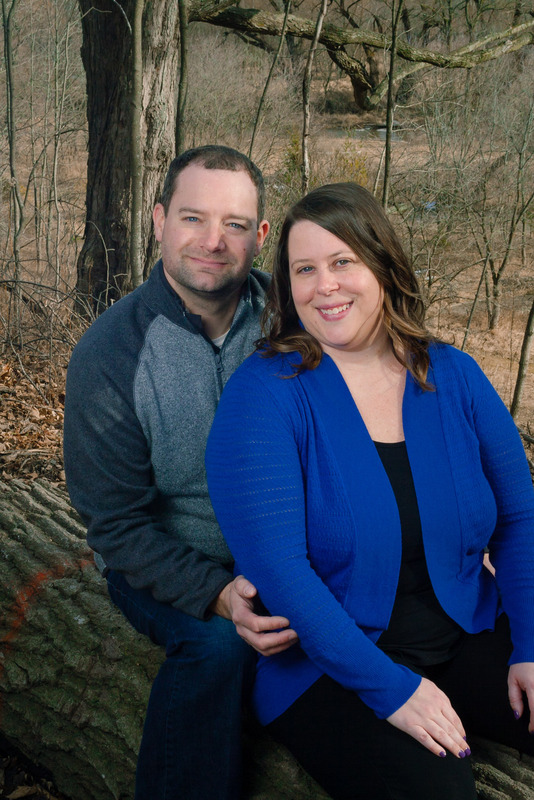 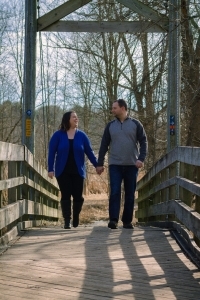 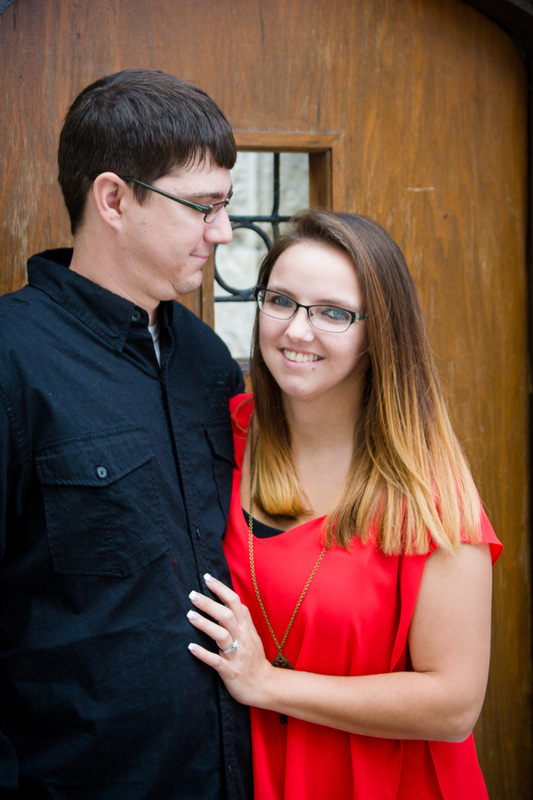 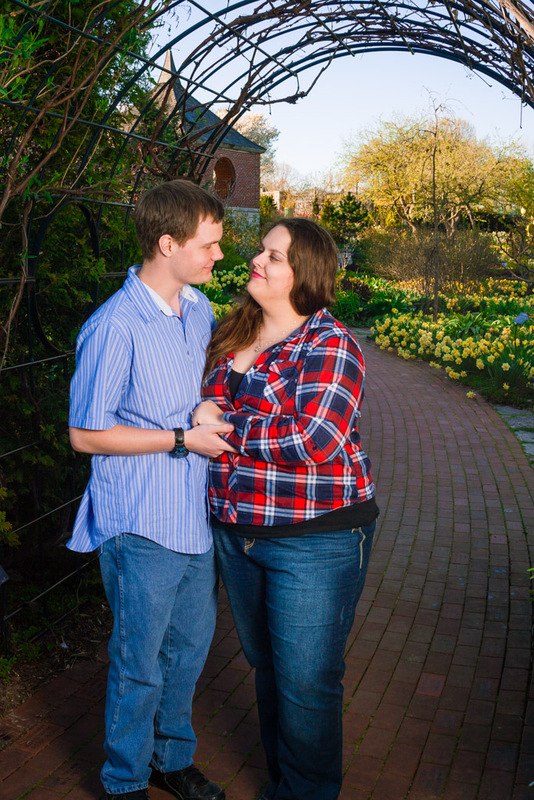 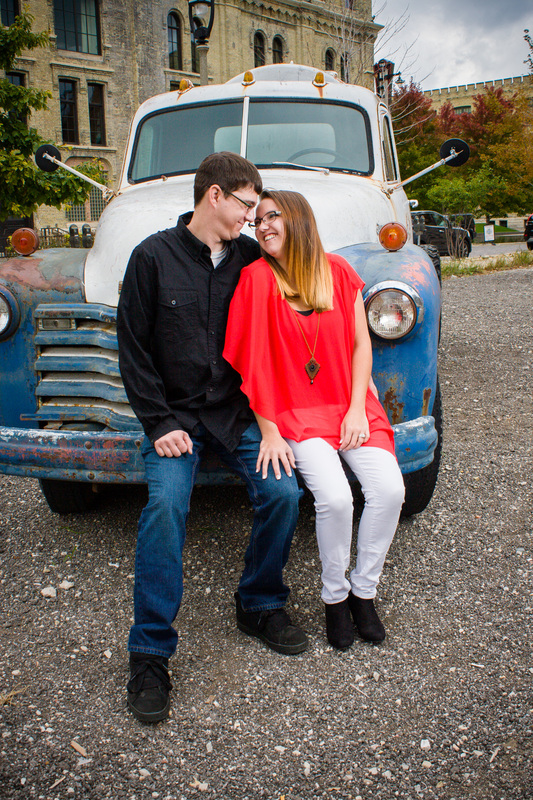 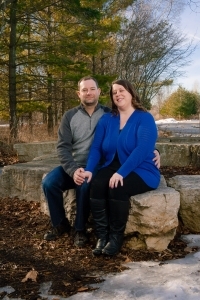 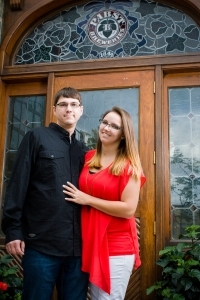 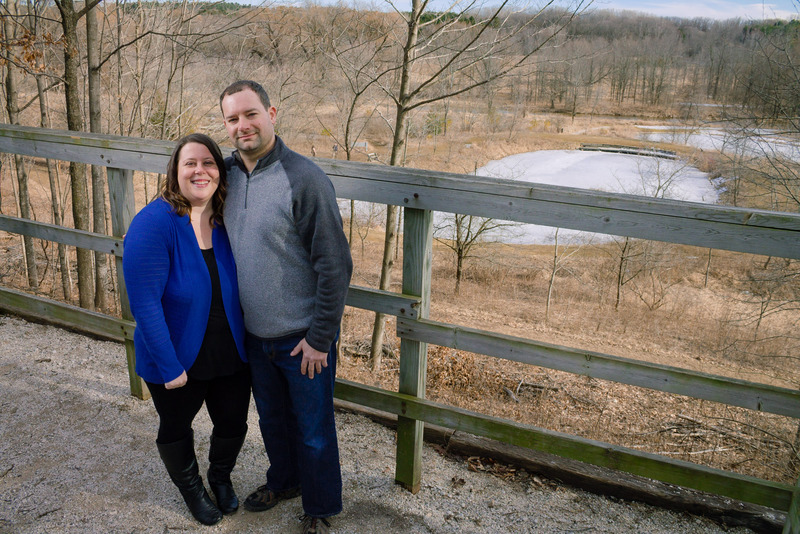 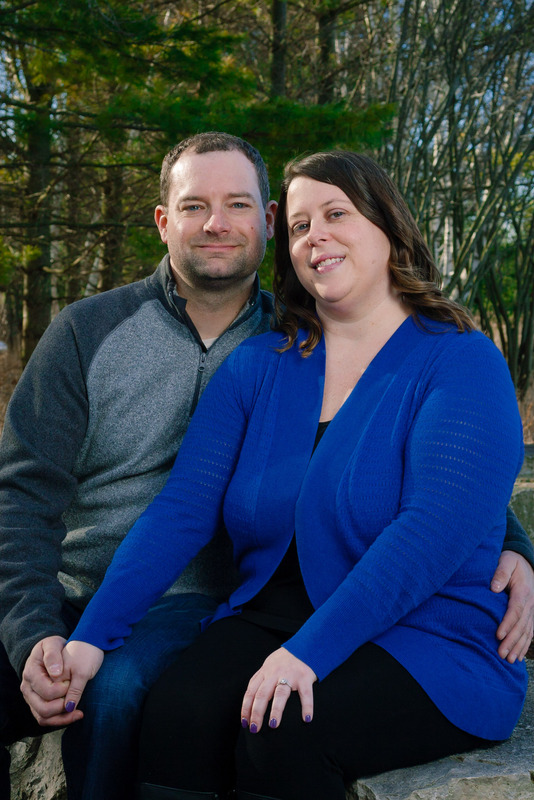 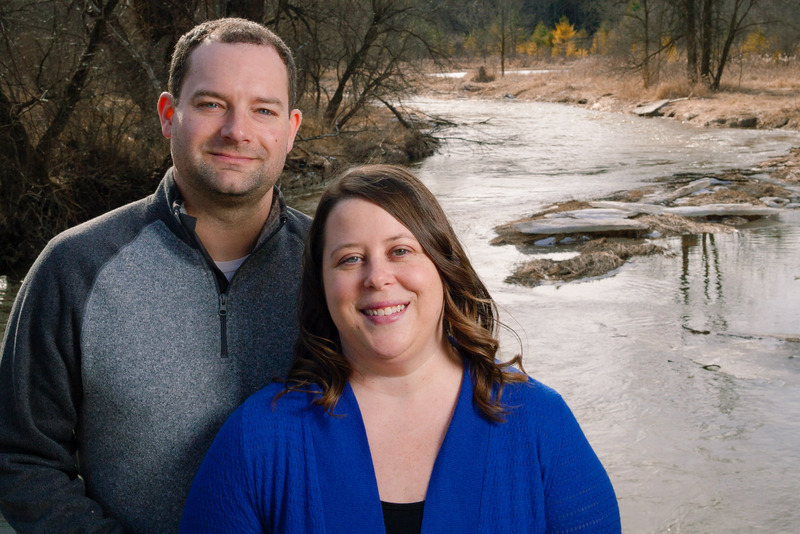 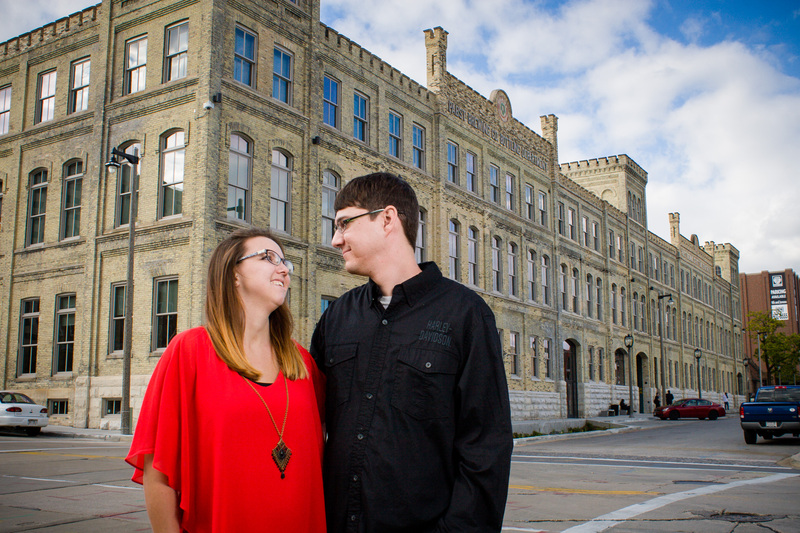 Julie & Brian have their engagement portraits at Maywood in Sheboygan. 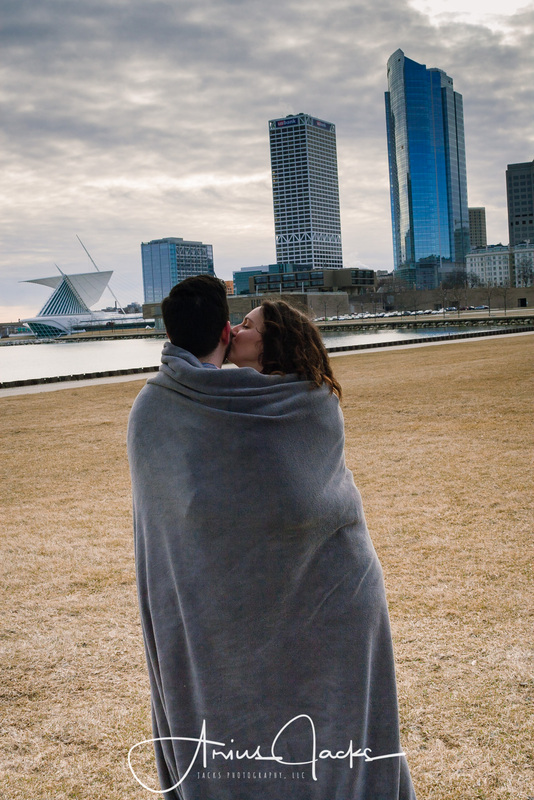 The day that we scheduled the session was one of the warmest days on record for February in Wisconsin! 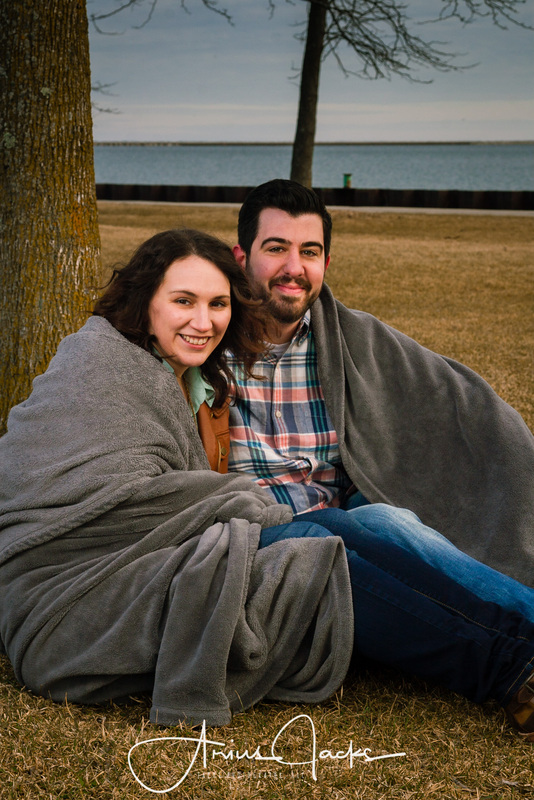 It was in the upper 50s when we arrived at Maywood. 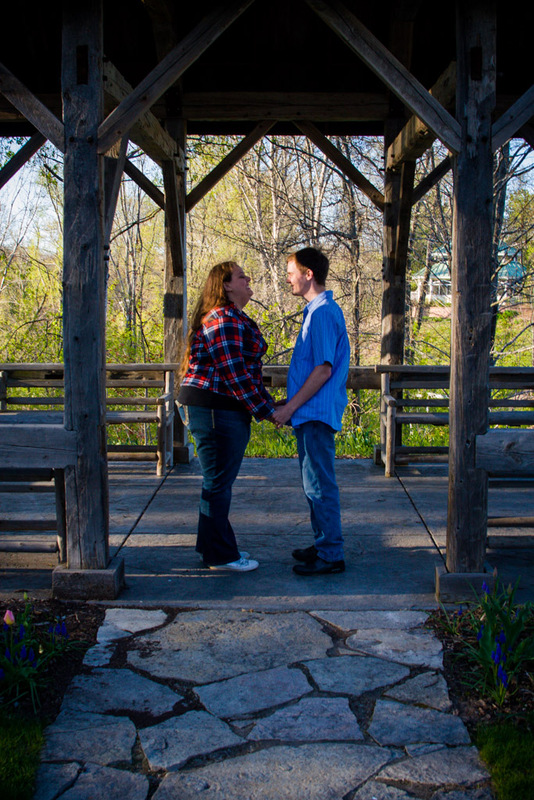 The first place that we headed was the bridge going over the pigeon river. 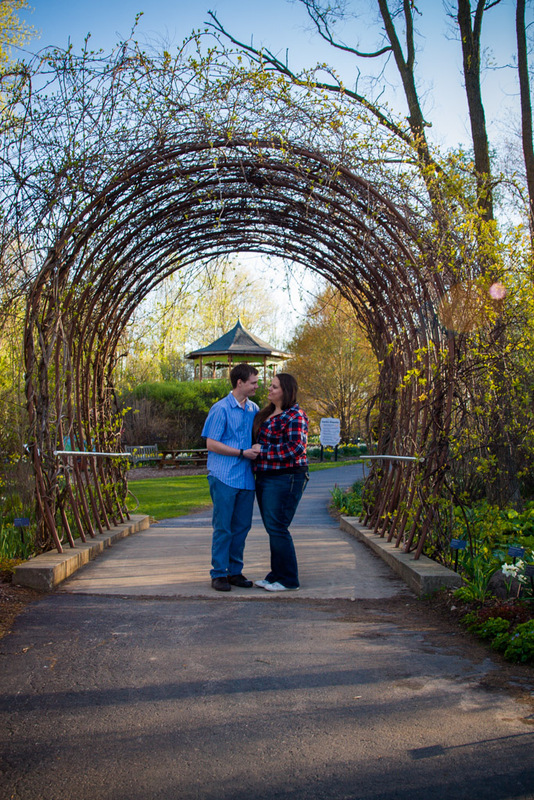 Whenever I go to Maywood for engagement portraits, or for wedding day portraits, the bridge is always a popular spot! 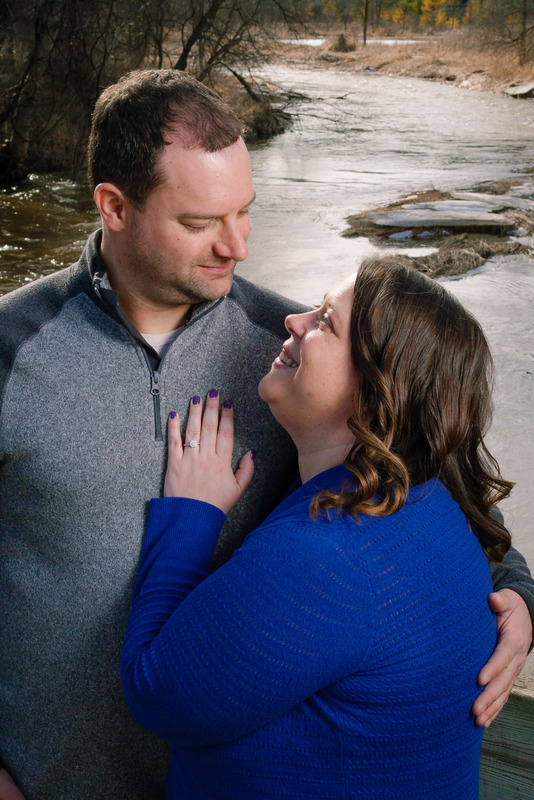 There was some ice in the river, but it was flowing quite nicely. 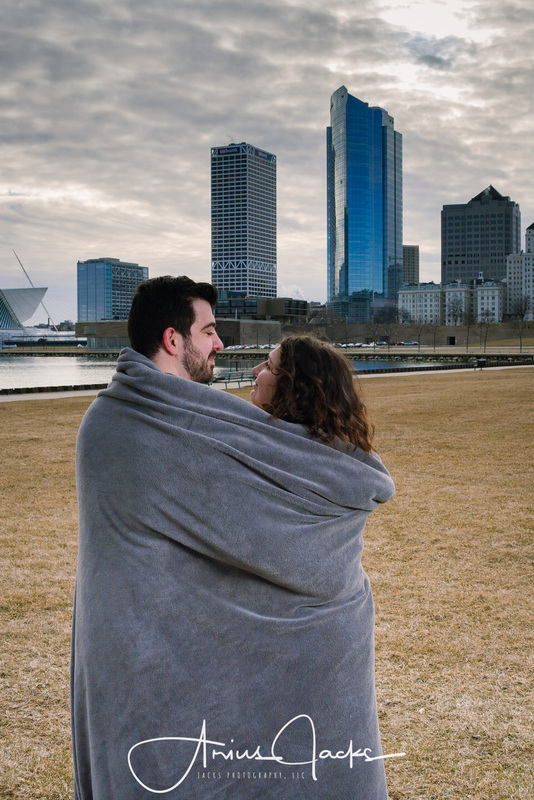 It was a bit strange for the end of February. After a few shots on and around the bridge, we decided to head up to the maple forrest. 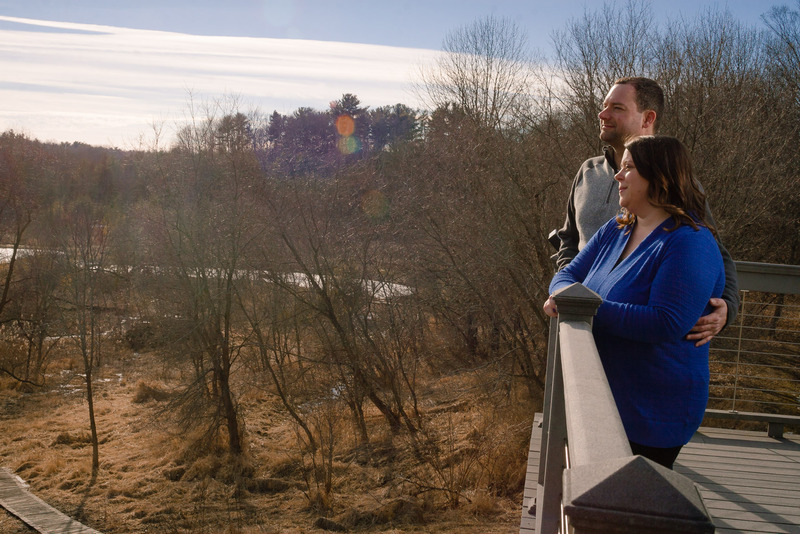 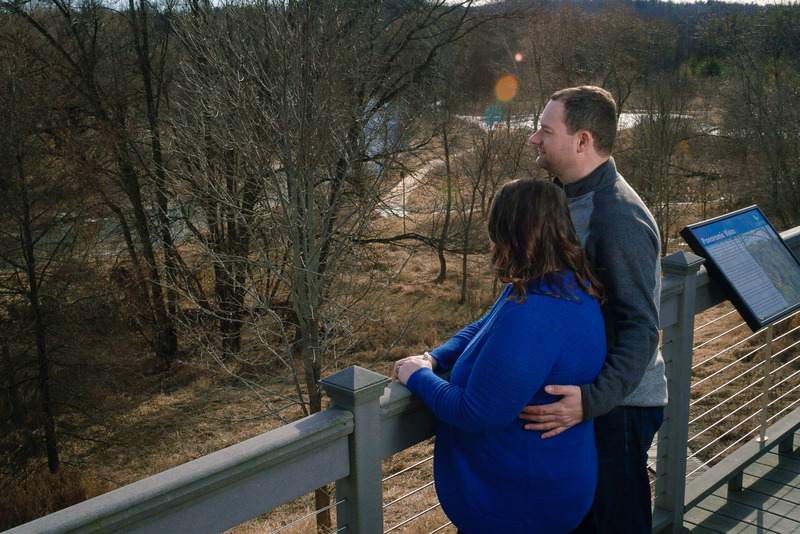 There is a nice overlook there where you can see the two ponds, and some of the river as well. 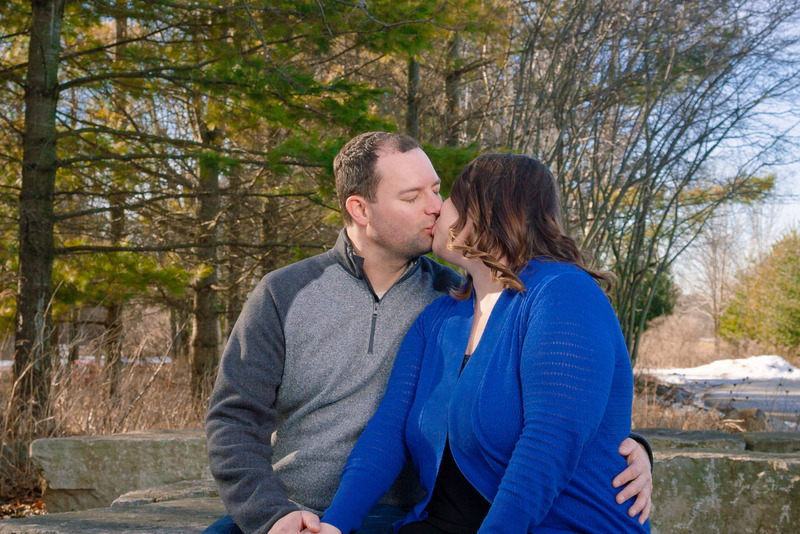 On our short walk to the lookout area we saw the maple trees tapped. 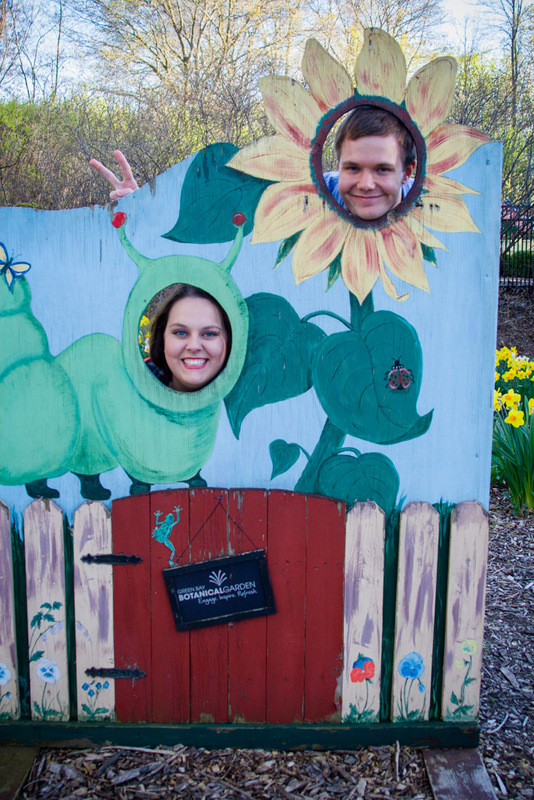 There were even some volunteers collecting sap. 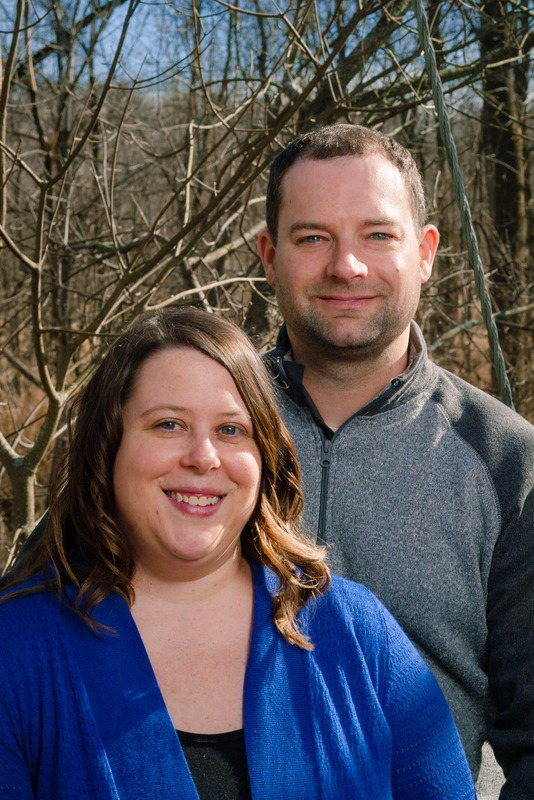 One of the great things about Maywood is that they collect sap from the maple trees, and make their own maple syrup! 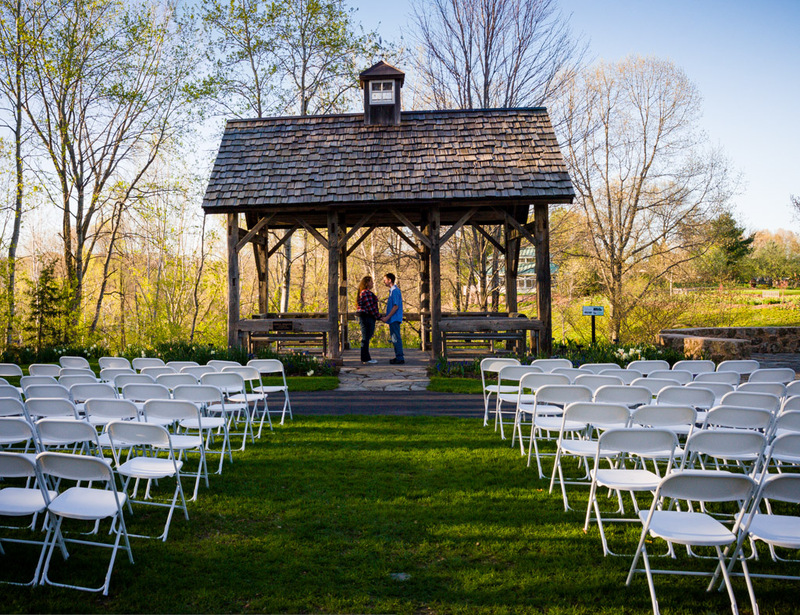 There is even an annual even where they explain and show the entire process. 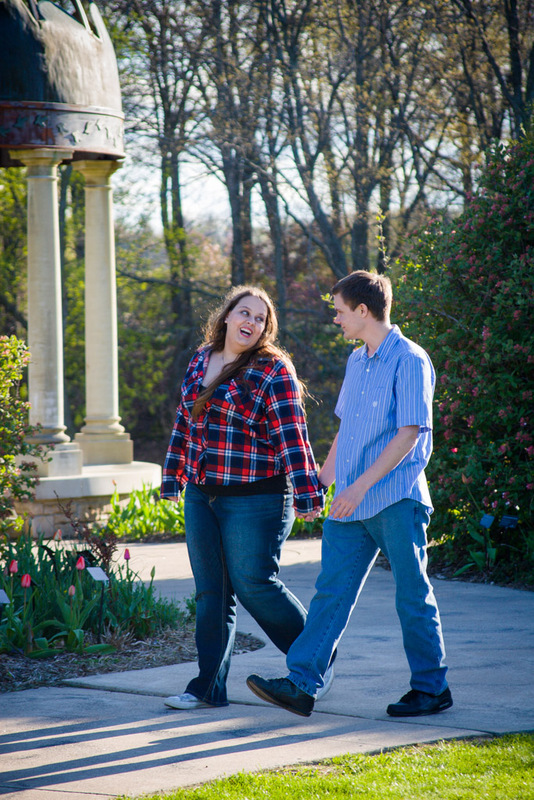 After the lookout area, we headed back to the ecology center. 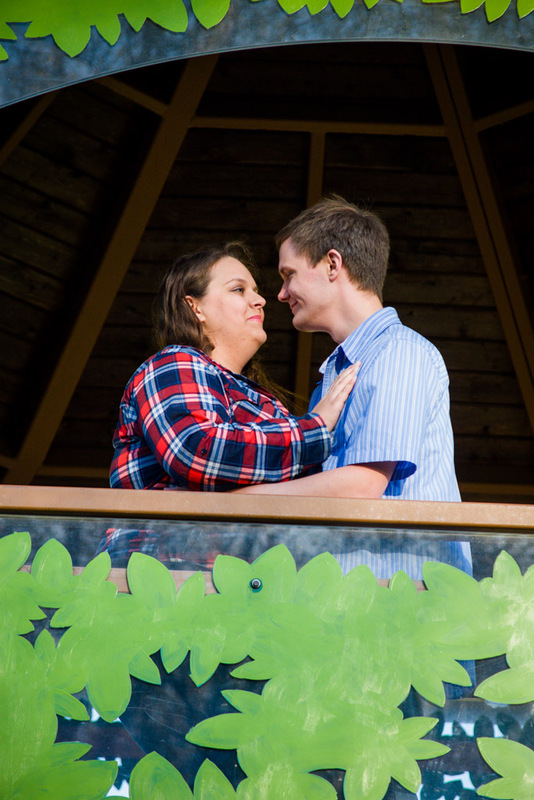 There is a balcony that overlooks the park. 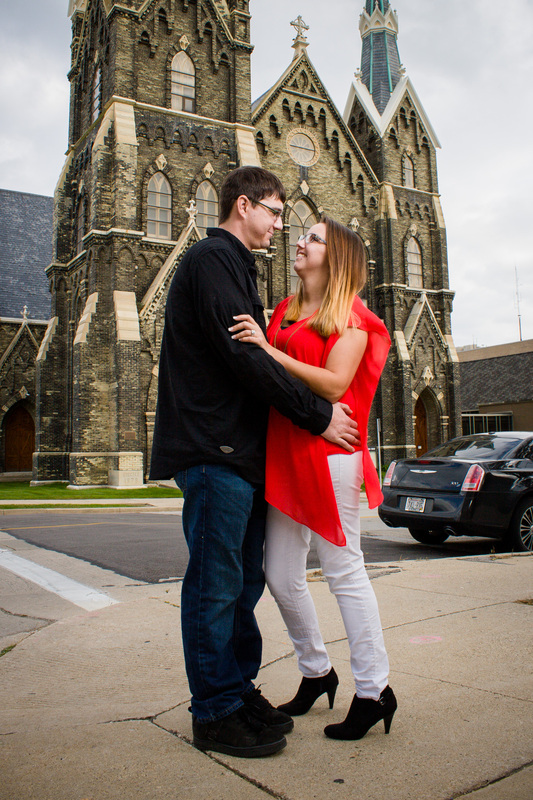 We decided to take a few shots there as well. 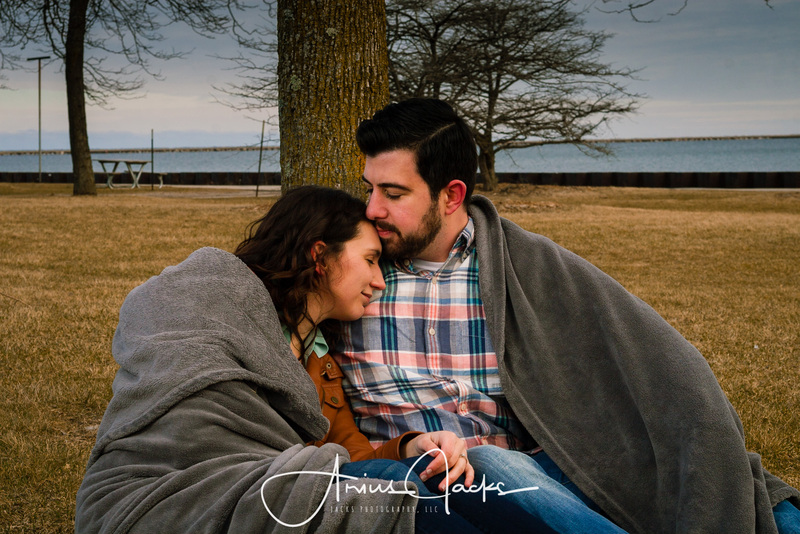 On our walk over, we talked briefly to one of the volunteers, and they recommended what ended up being our last spot for portraits on the day. 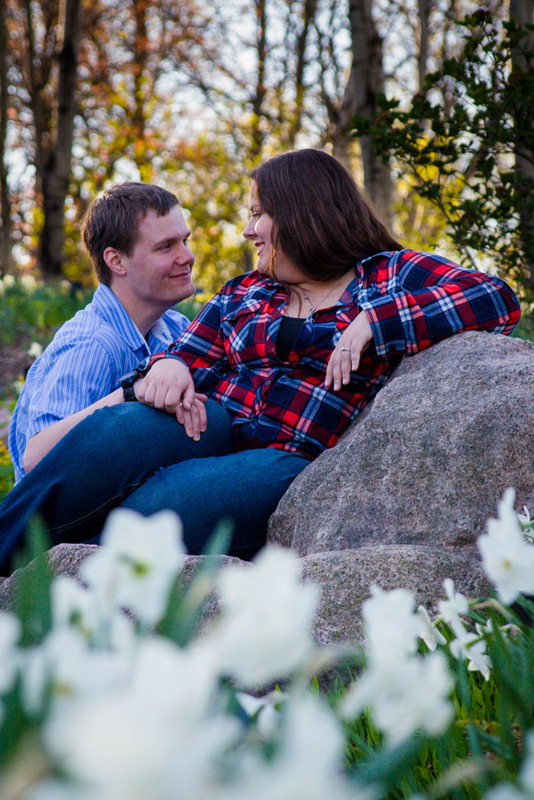 Right in between the parking lot and the ecology center there are a few large rocks, and evergreen trees. 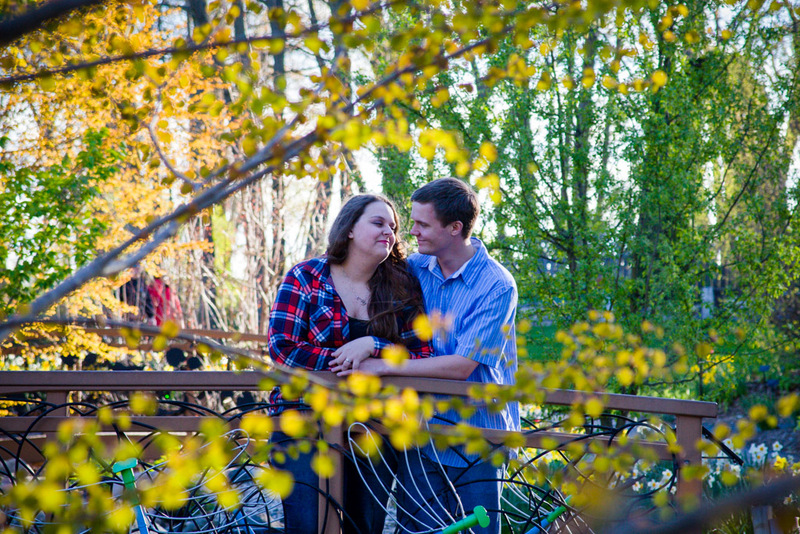 That is where we finished up our engagement portraits at Maywood. 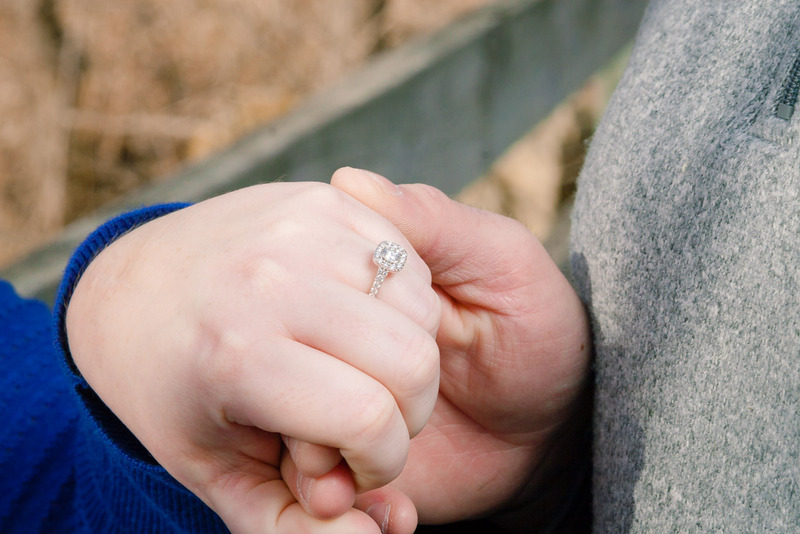 Are you engaged? 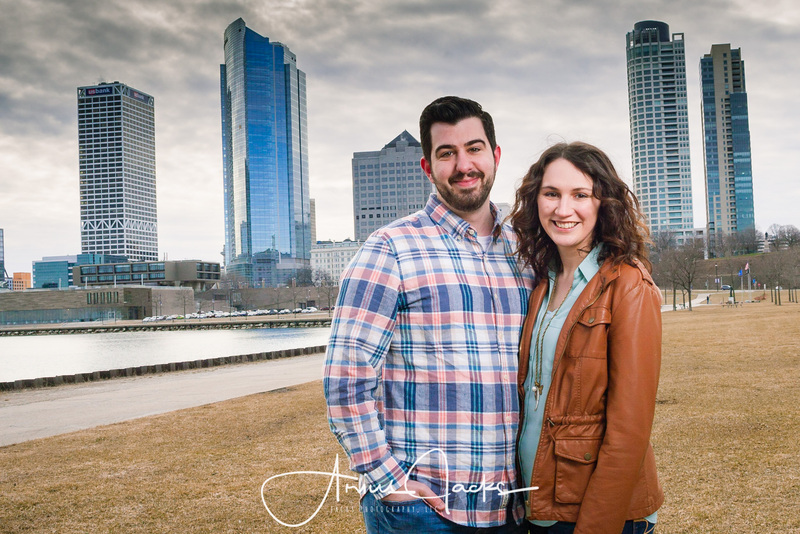 Do you want some portraits that look like this? 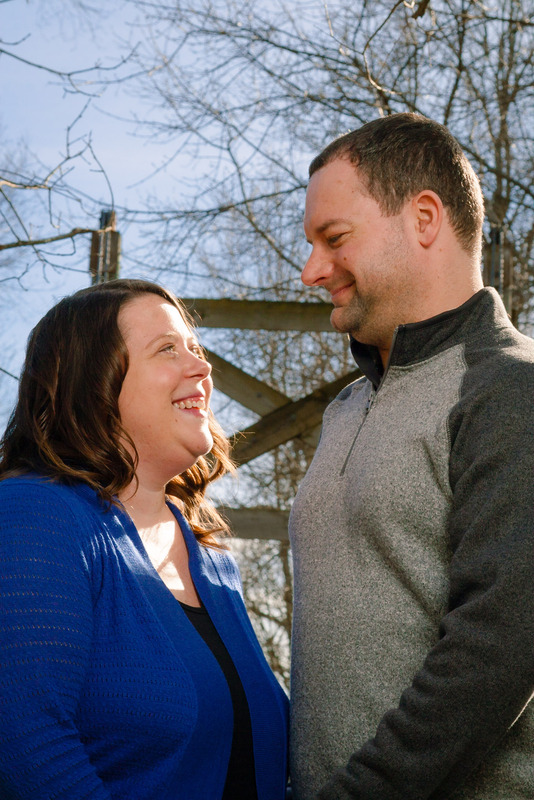 Contact me today and lets start a conversation! 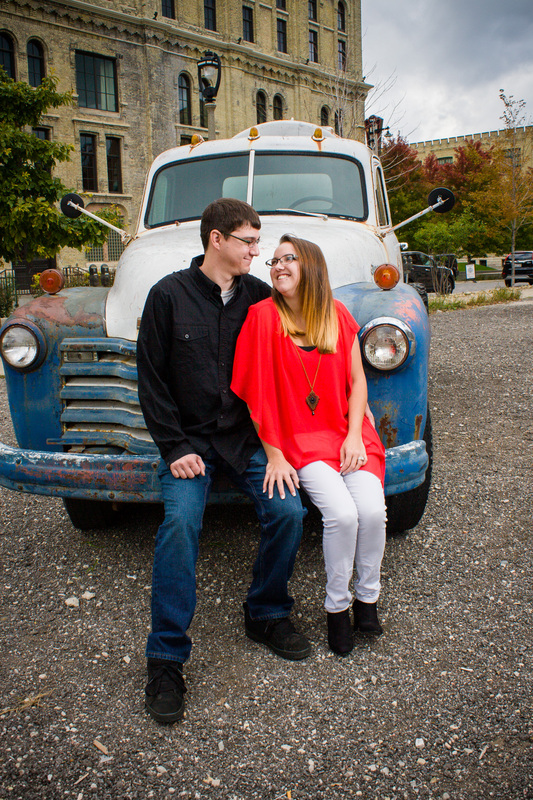 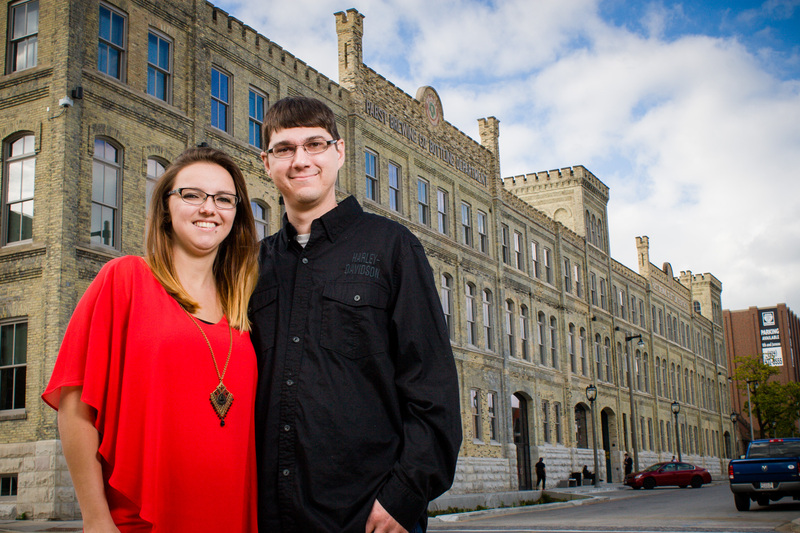 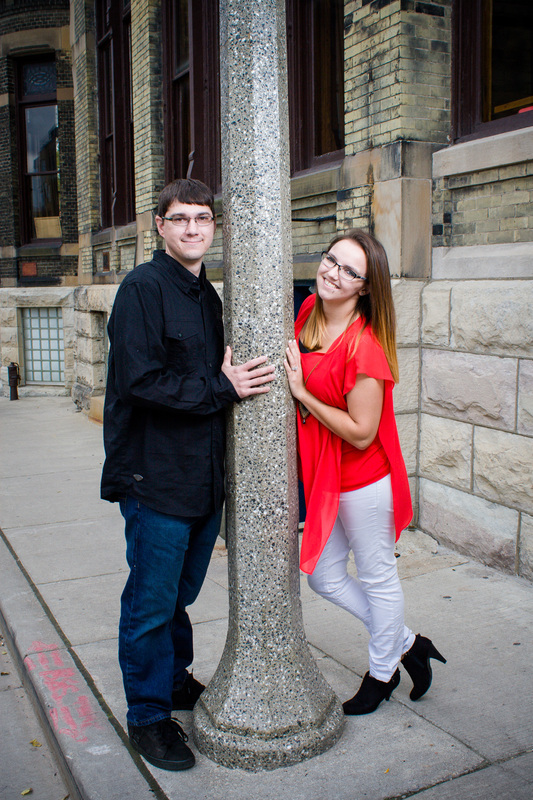 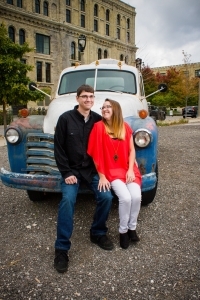 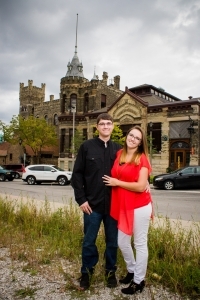 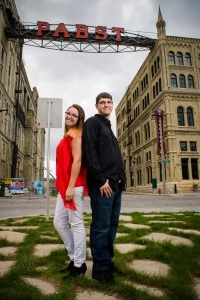 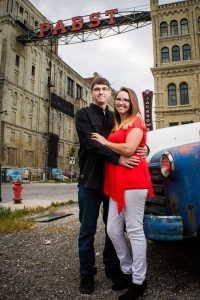 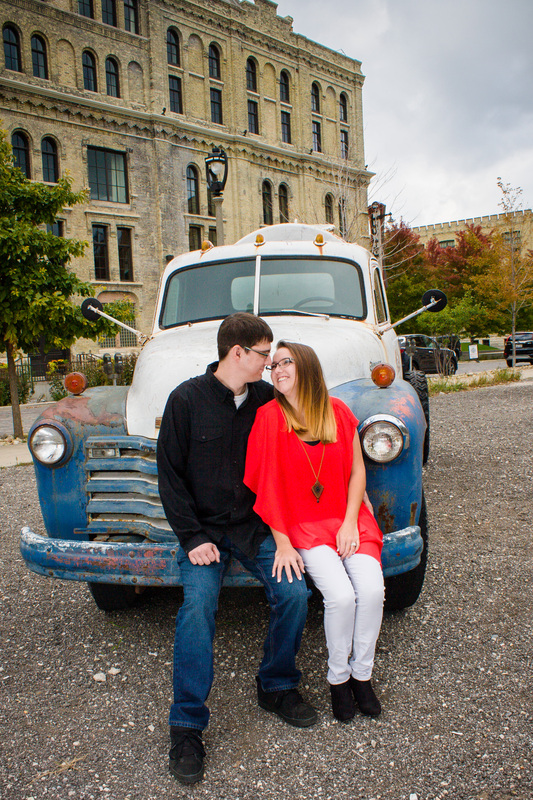 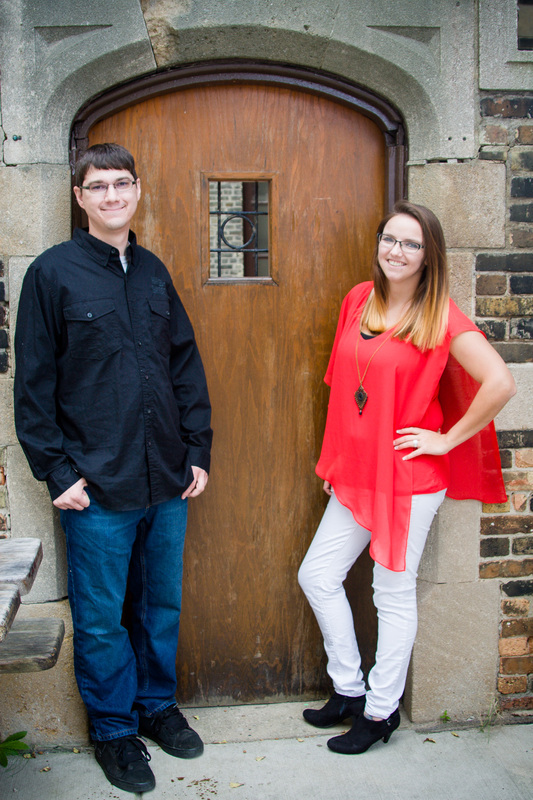 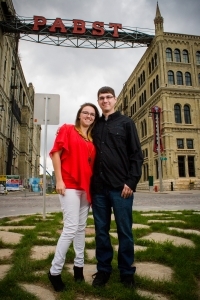 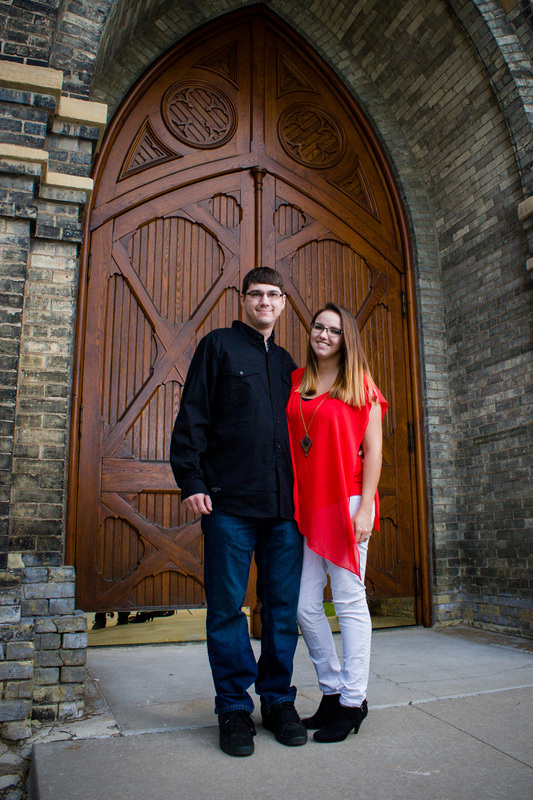 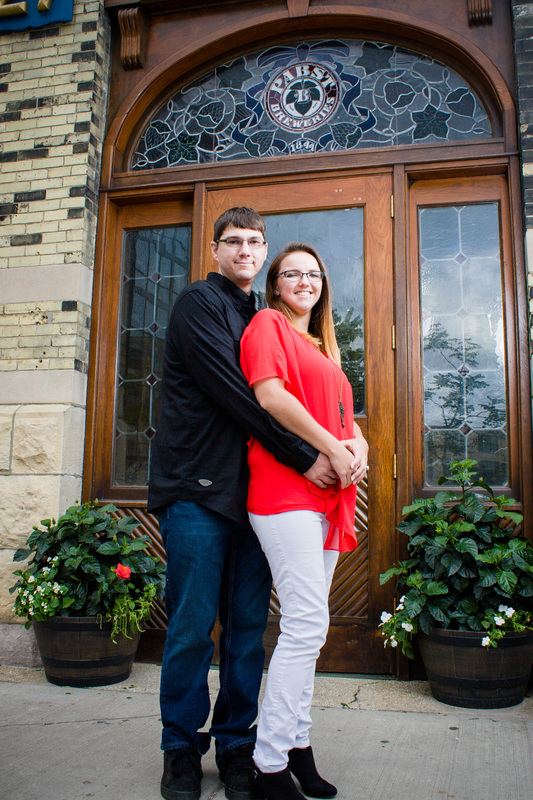 We had a great time taking Maegan and Patrick’s engagement portraits at the Pabst Brewery in Milwaukee, WI. I love architecture and history, and I enjoy an occasional good beer as well! 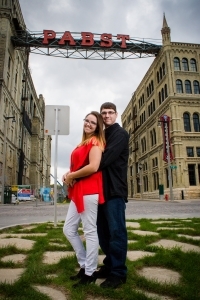 So this was a great location for me to photograph at. 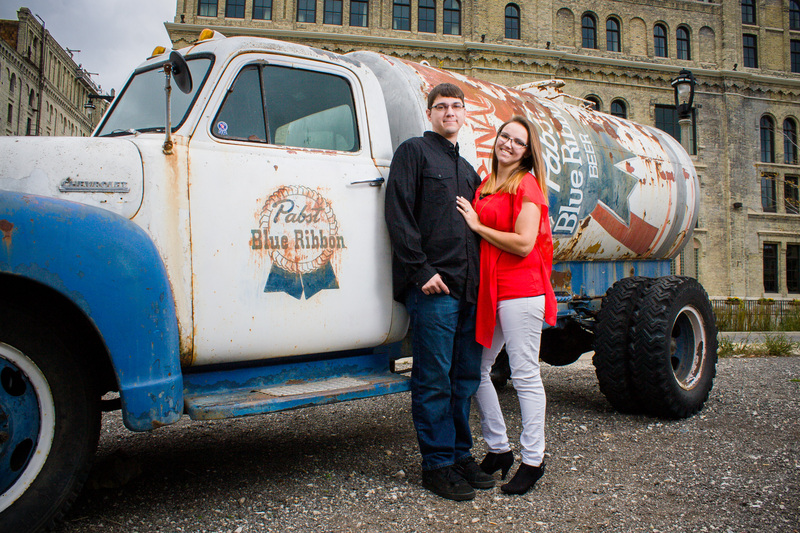 Even though I live less than one hour away, and have made many many trips to Milwaukee, I’ve never been to the Pabst Brewery. 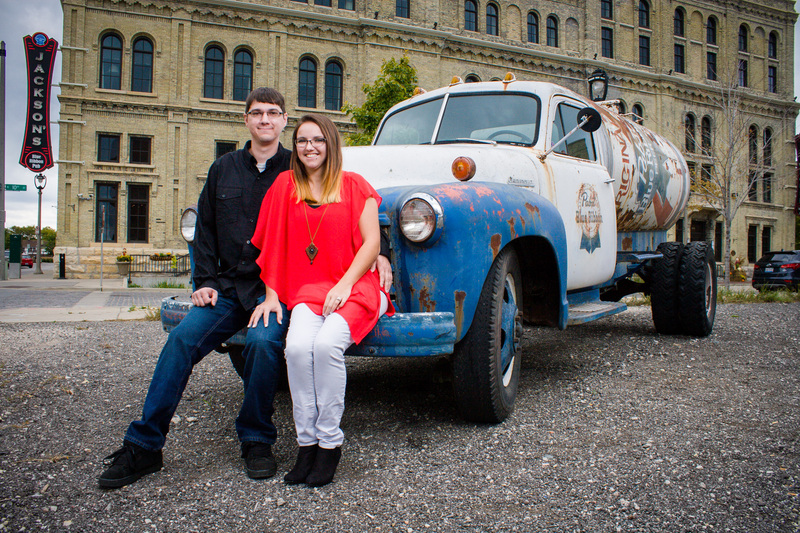 Taking the brewery tour has now been moved up on my list of things to do! I’ve heard great things about it. For Maegan and Patrick, they took the tour right before we met for our photo shoot. 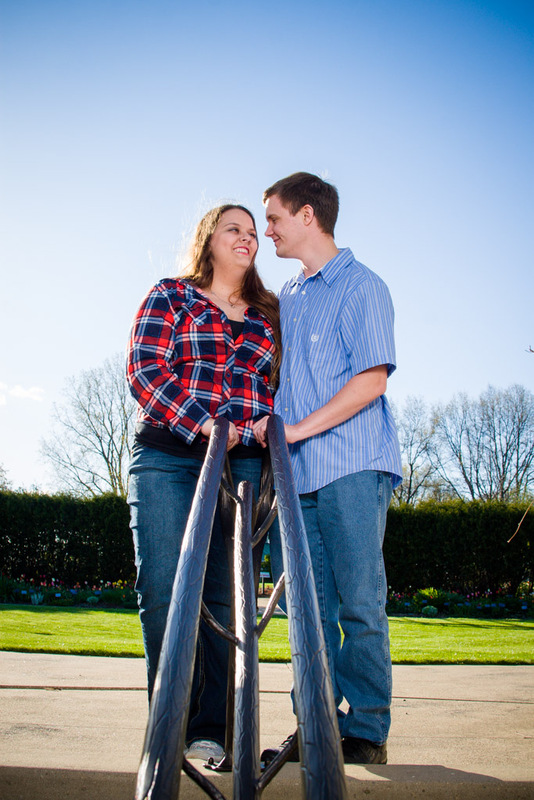 Back in September I ran a promotion offering a free engagement session to a select few couples. 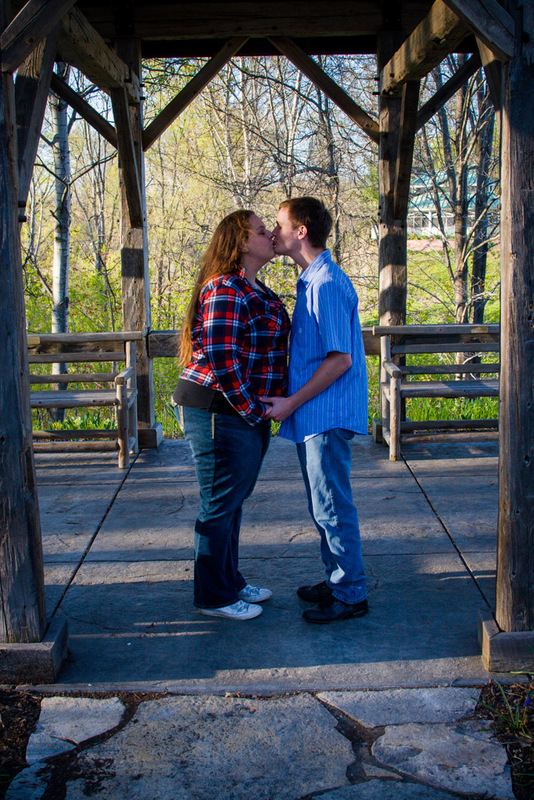 Maegan & Patrick were the first winners! 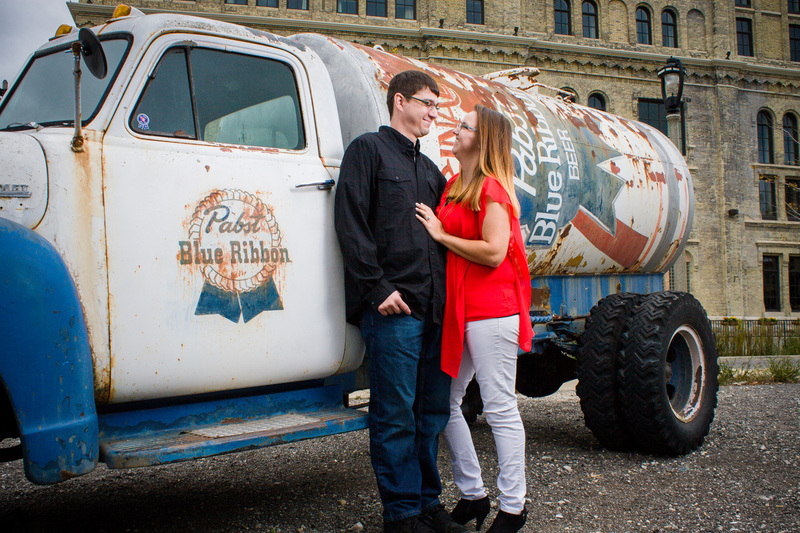 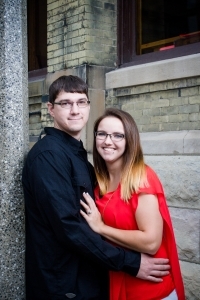 They chose to have their engagement portraits at the Pabst Brewery in Milwaukee, WI. 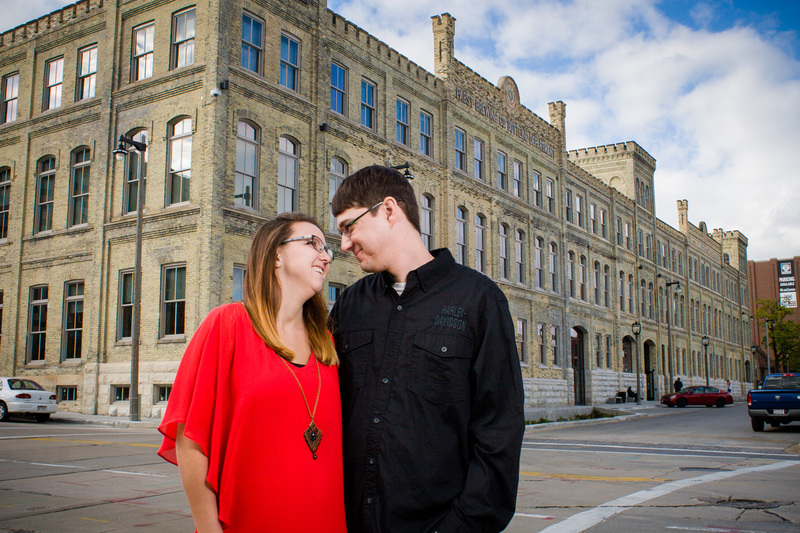 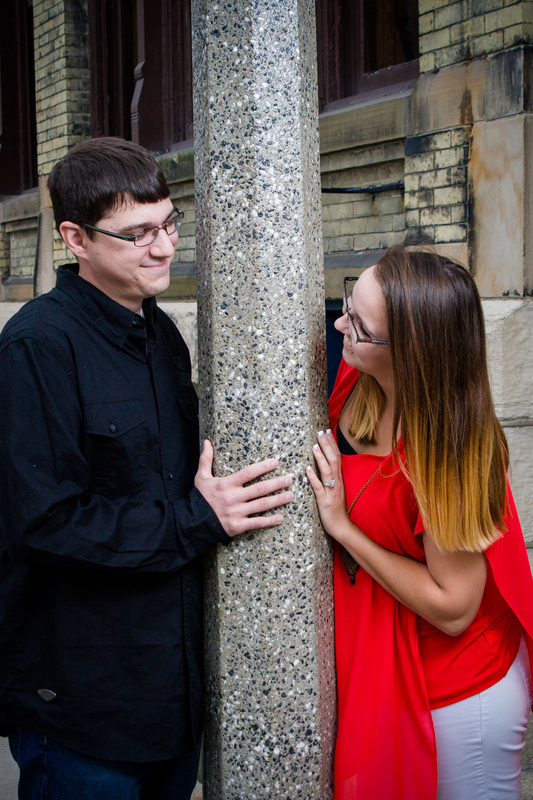 Here are a few of my favorite engagement portraits at the Pabst brewery. 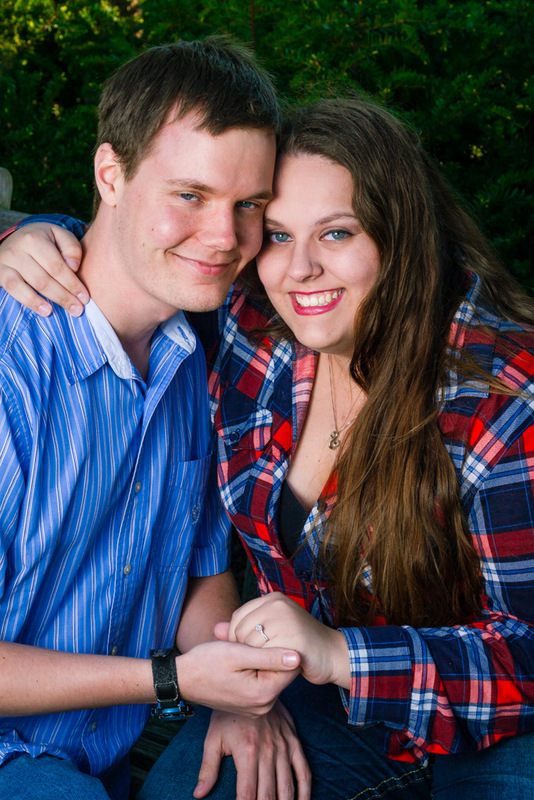 I know their wedding is going to be amazing! Thanks for letting me be a part of your journey! 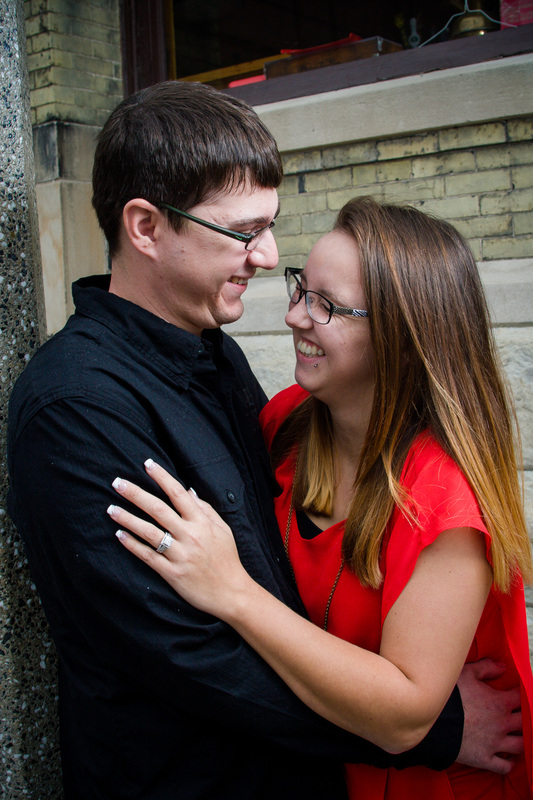 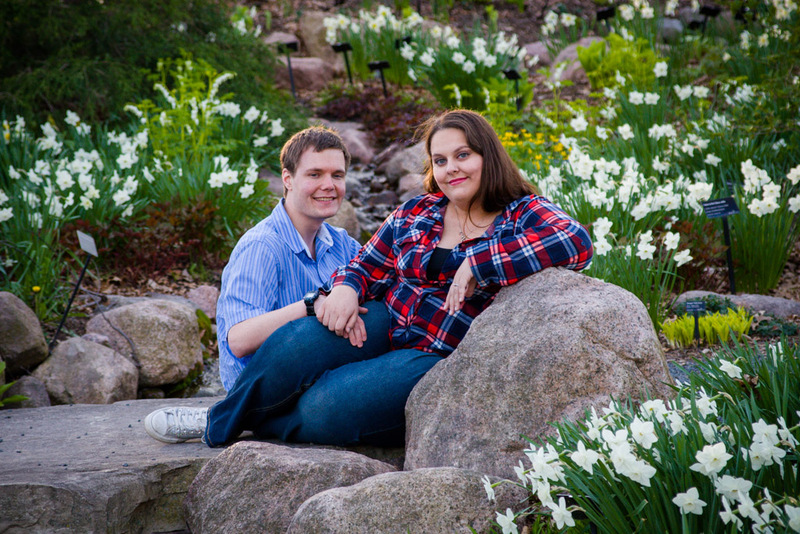 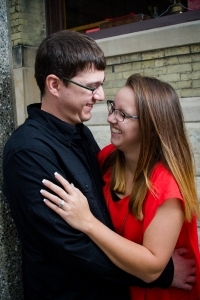 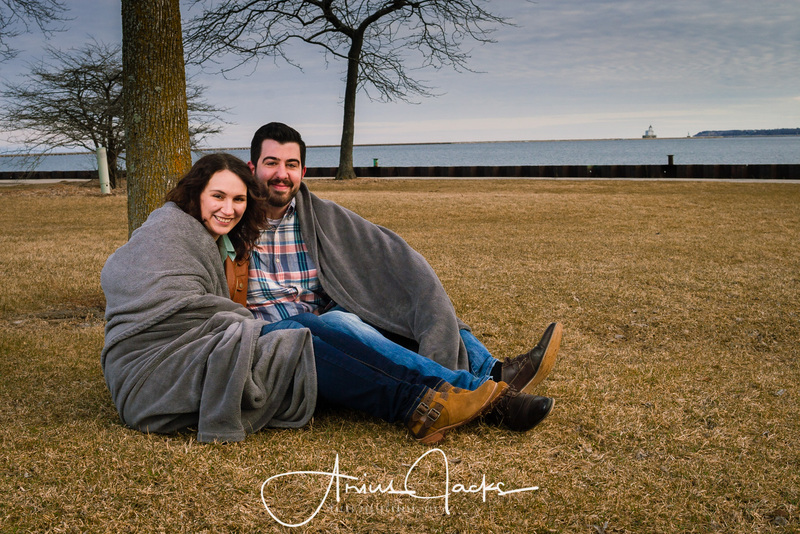 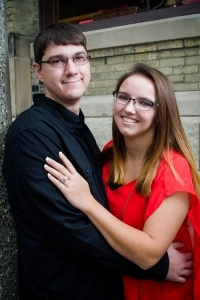 Are you looking for a place for your engagement portraits in the Sheboygan area? 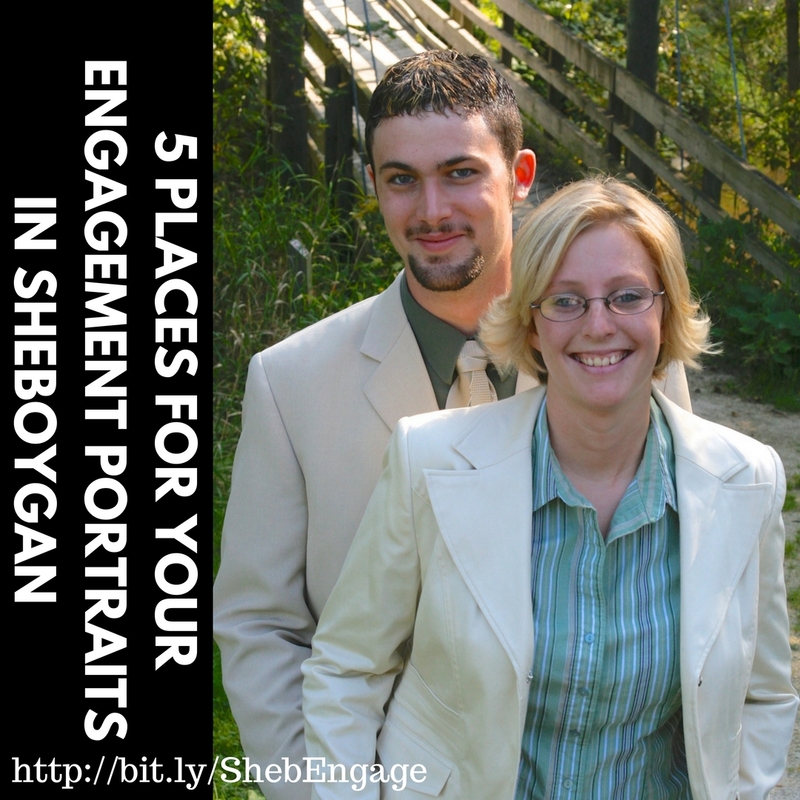 Check out these 5 great places in Sheboygan! 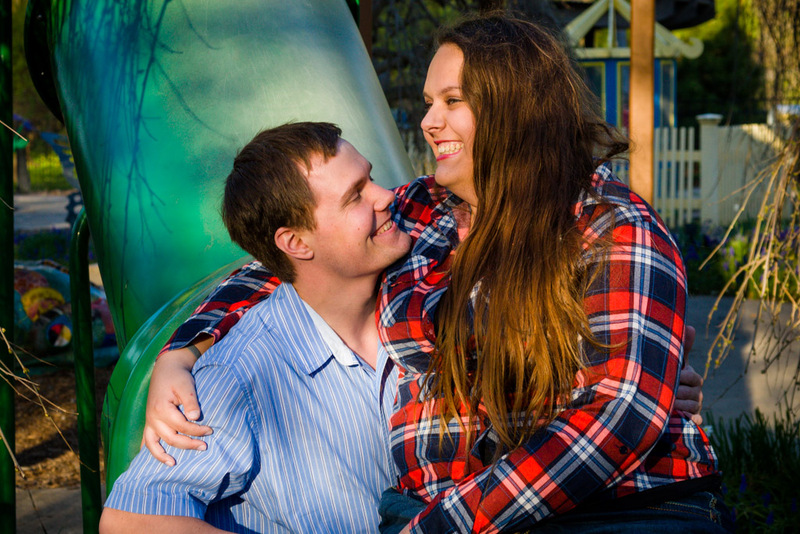 Would you like to be like this happy couple? 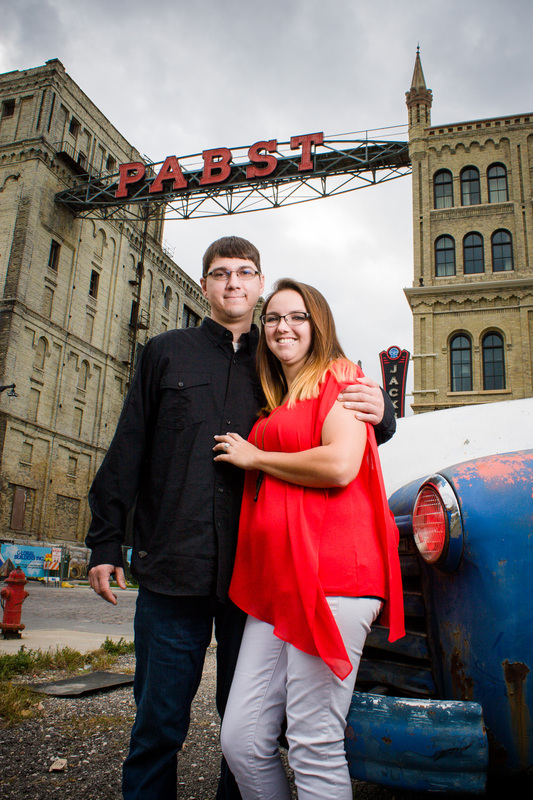 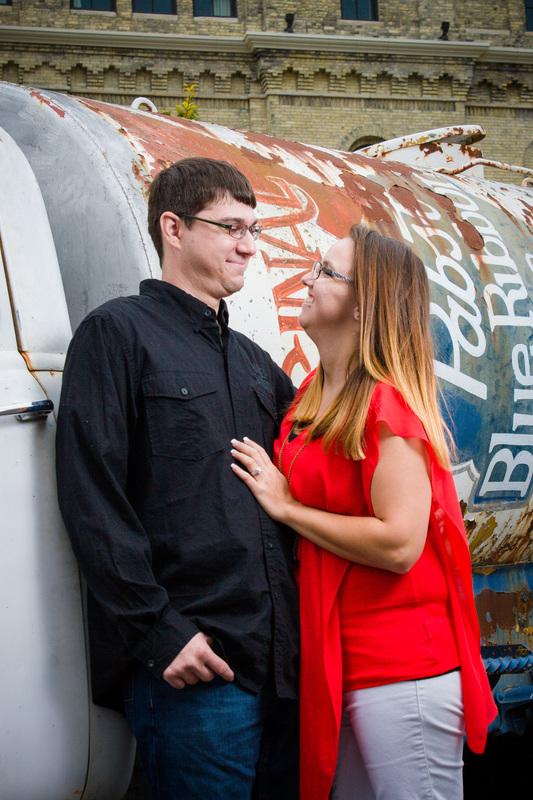 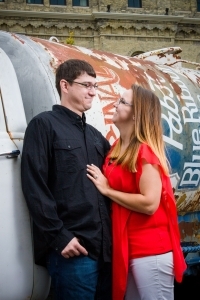 Would you like your own engagement portraits at the Pabst Brewery? 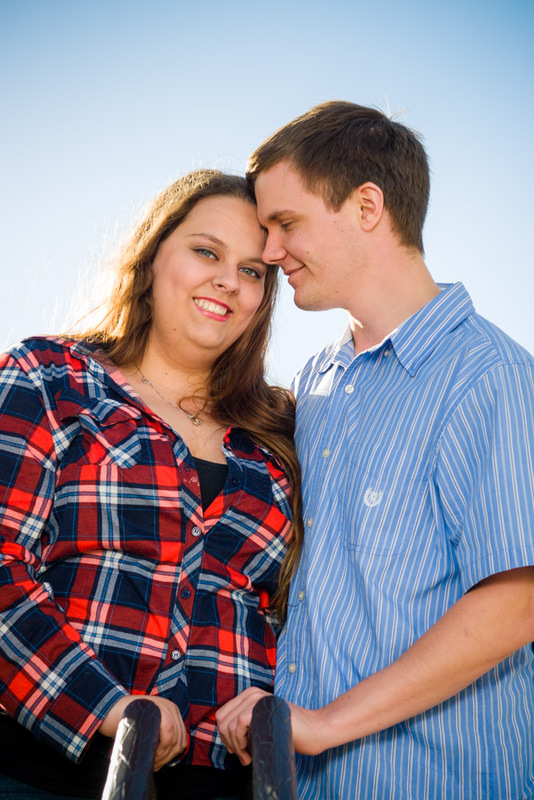 Contact me today and lets start a conversation! 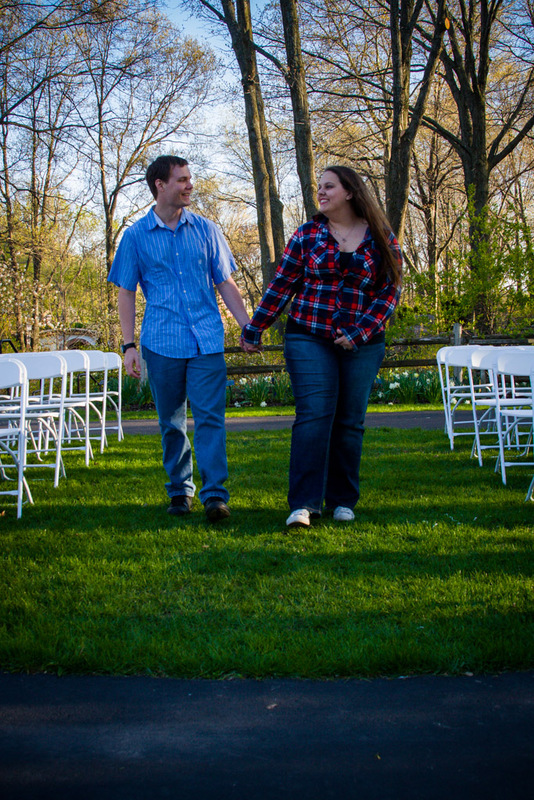 In the process of planning your wedding? 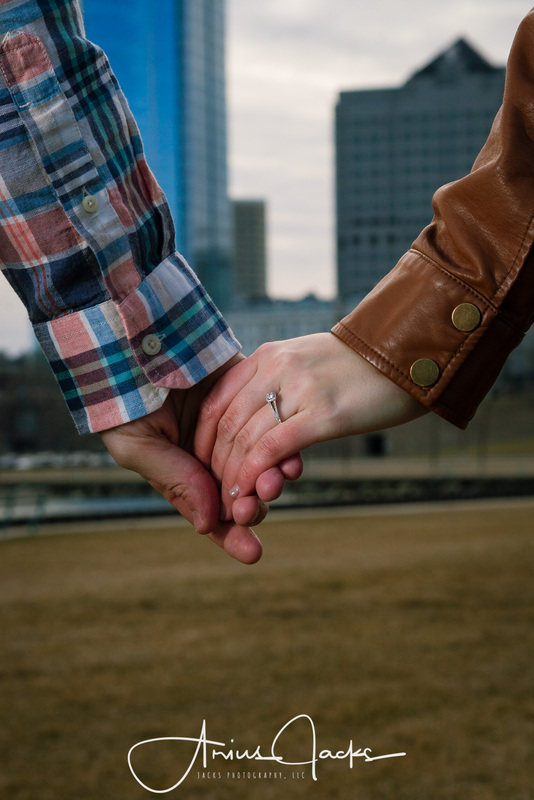 Download my free guide to “8 questions you must ask before hiring a wedding professional”! 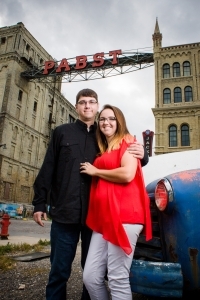 Want some more information on the Pabst Brewery? Check out their site here. 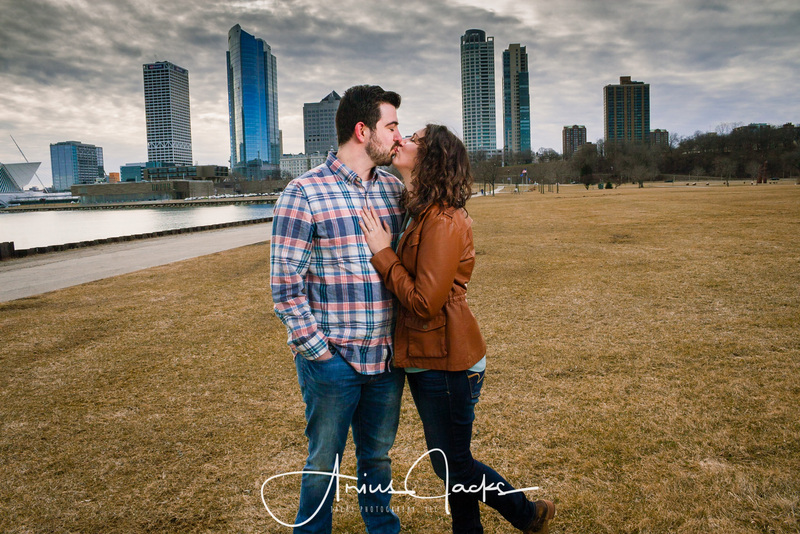 Go ahead and take the tour! 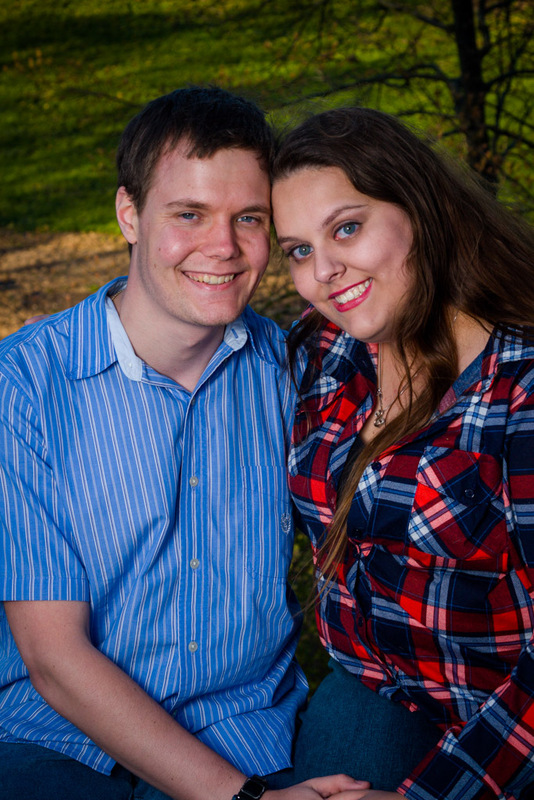 Let me know what you think about it! 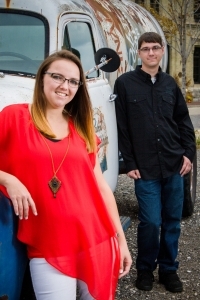 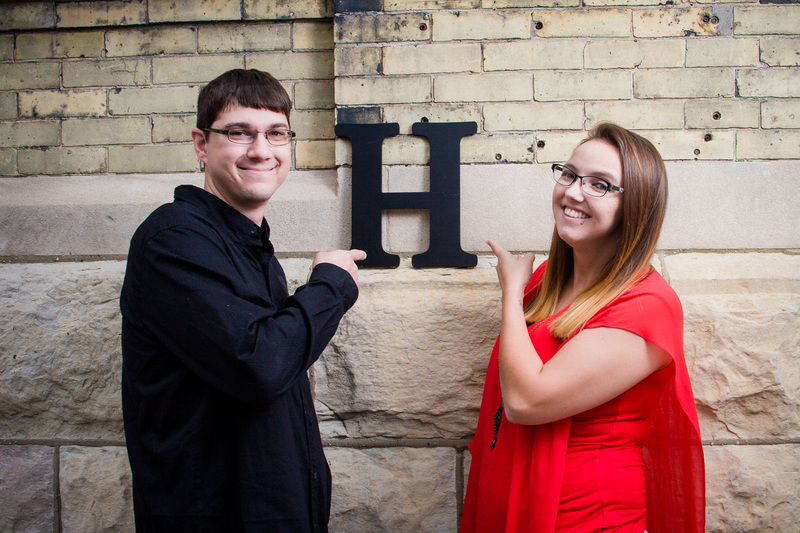 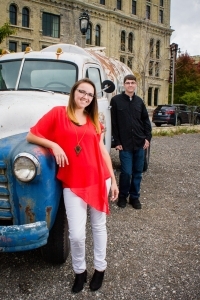 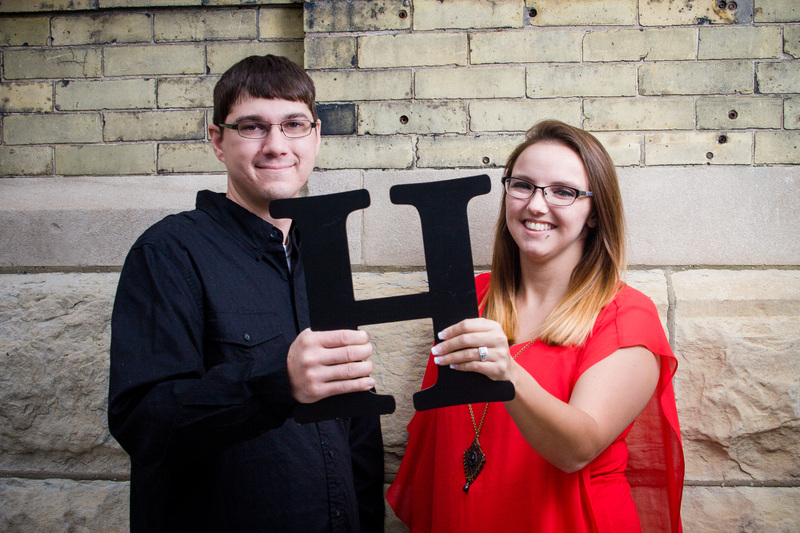 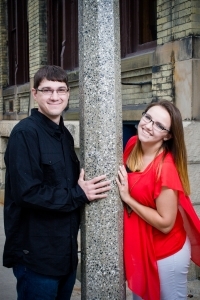 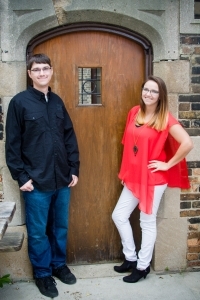 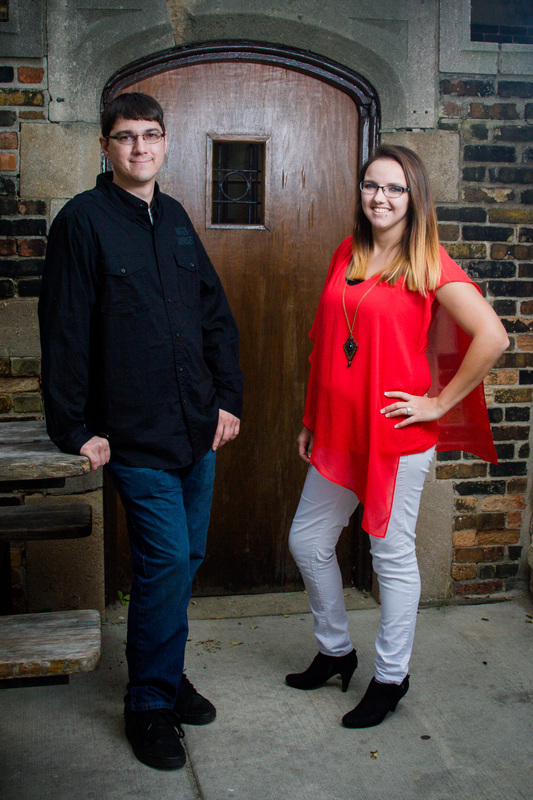 Arius Jacks is a Sheboygan Portrait and Wedding Photographer. 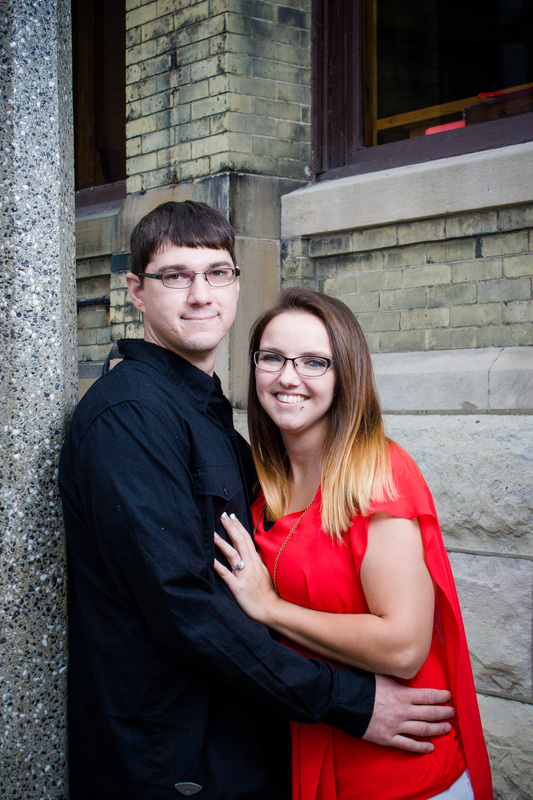 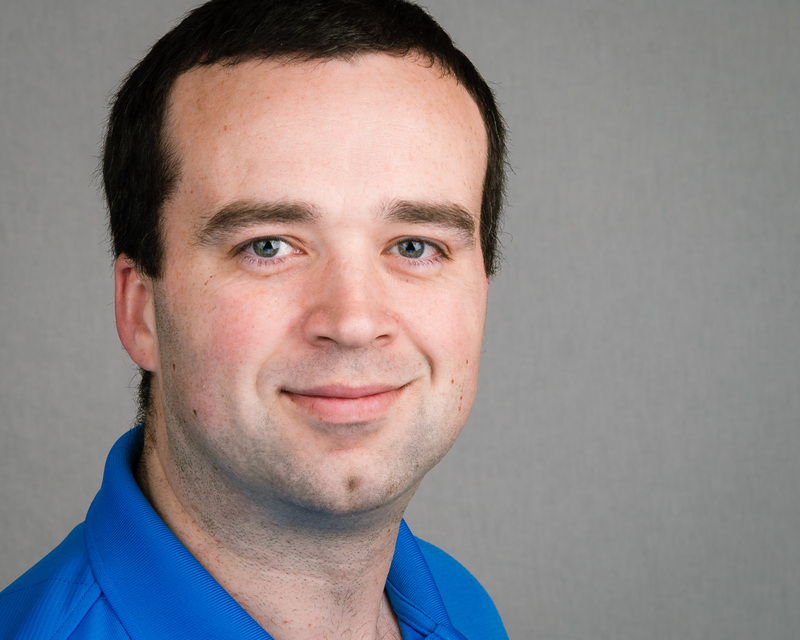 He is the owner of Jacks Photography, LLC and based in Sheboygan, WI Follow him on Instagram and Facebook! 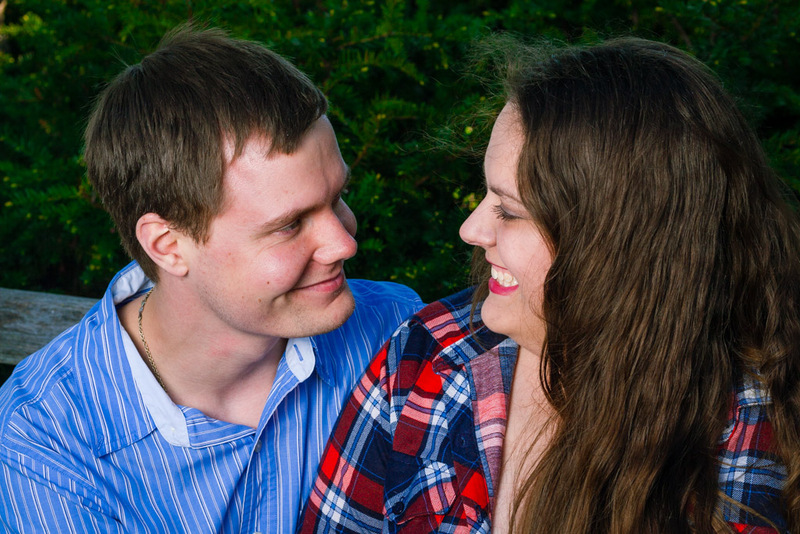 Engagement portraits are one of my favorite types of photography. 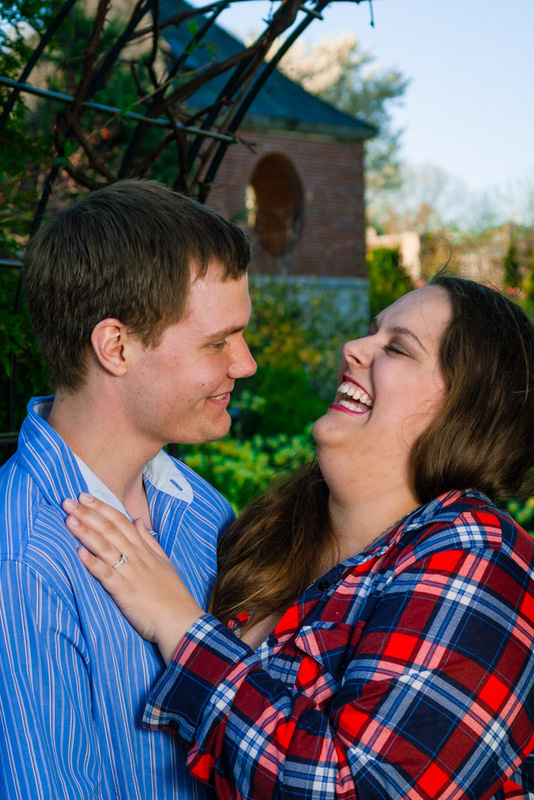 One of the things I like most about Engagement Portraits, is to see happy couples are in that newly engaged, euphoric, in love stage of their relationship. Quite often they have only just started their wedding planning, and their stress levels are typically quite low.